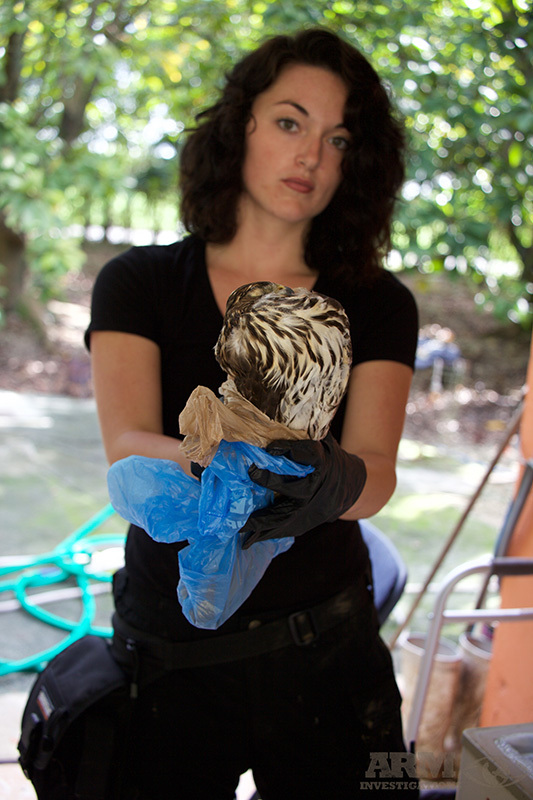 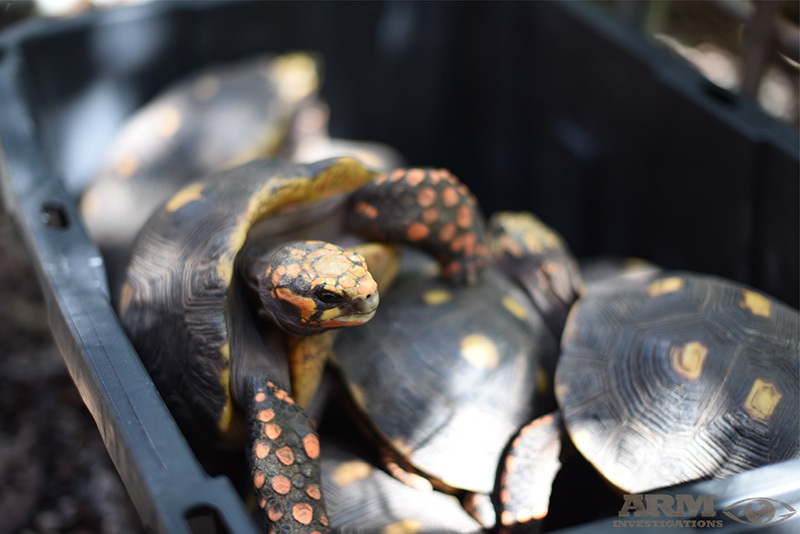 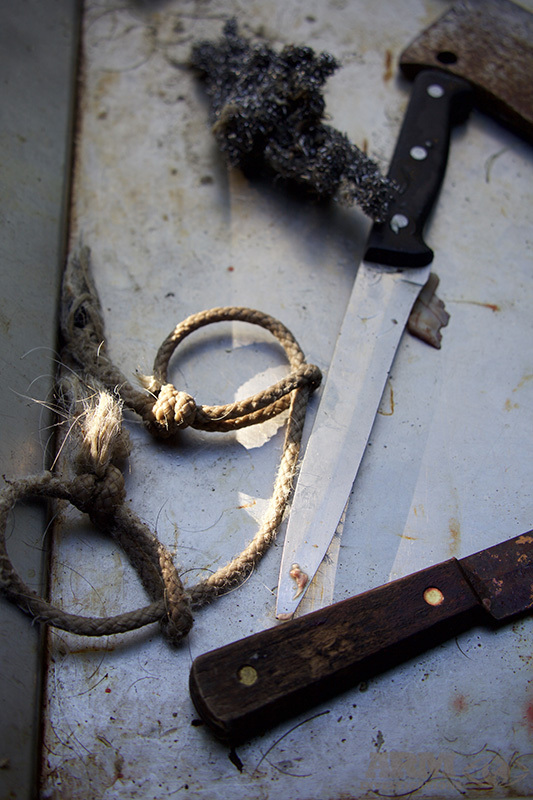 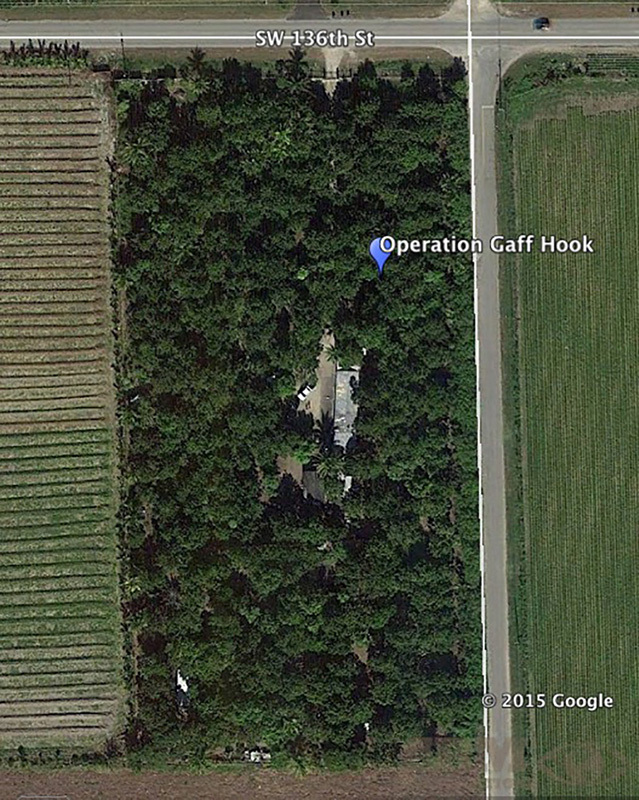 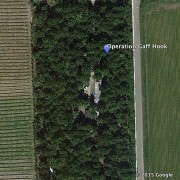 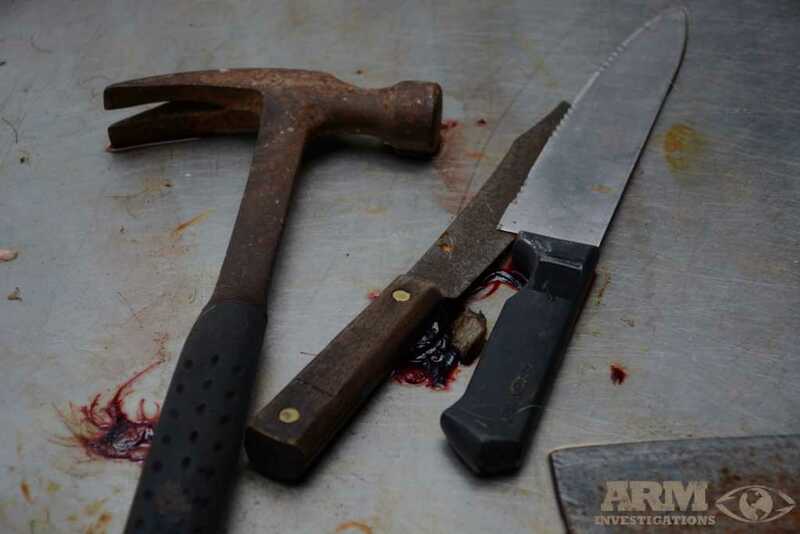 Over the course of a seven month long investigation, the Animal Recovery Mission entered into the farm titled ‘GaffHook’ due to the use of these fishing instruments, to drag the animals whilst still alive. 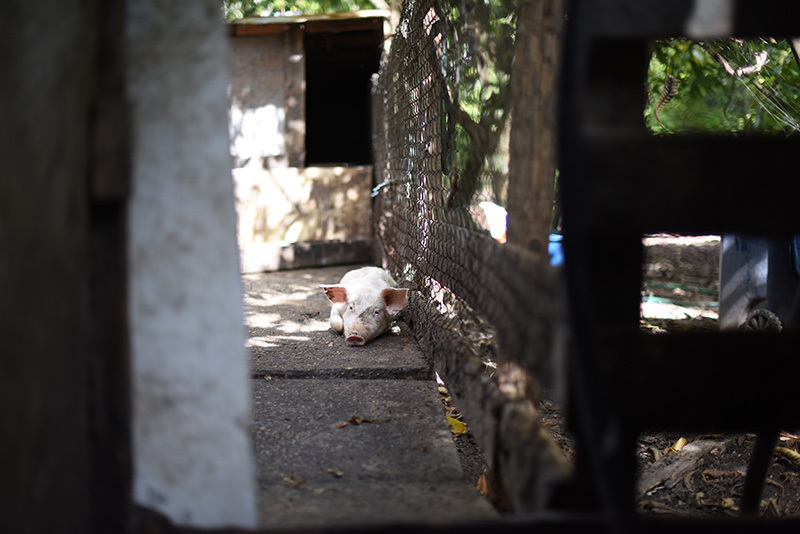 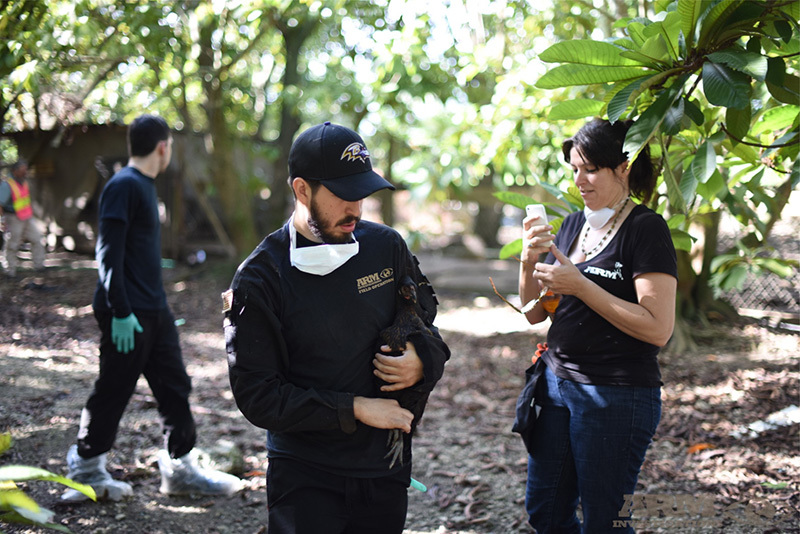 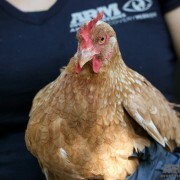 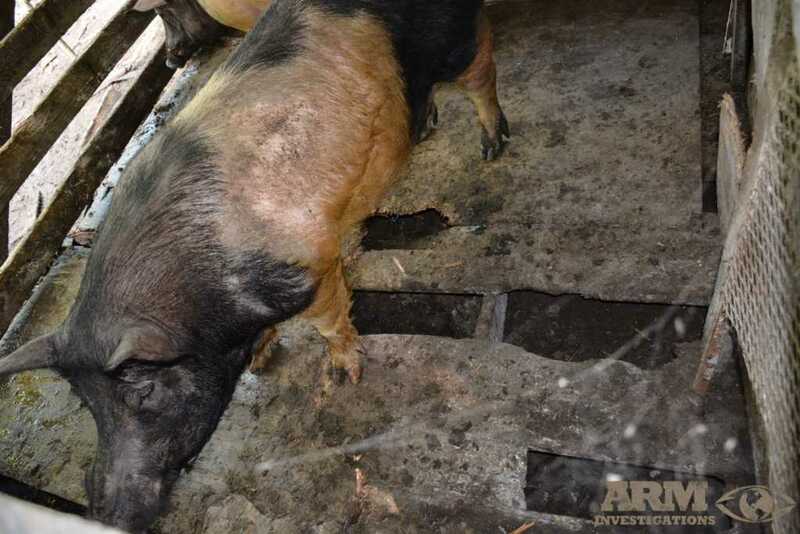 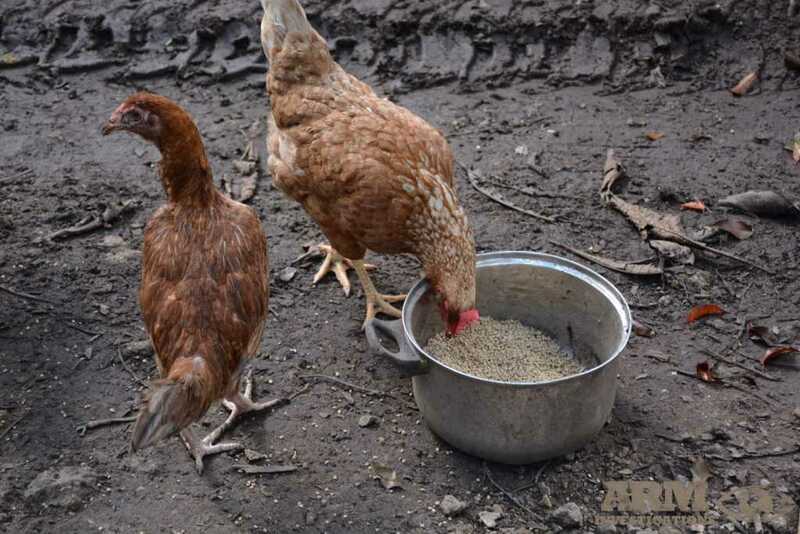 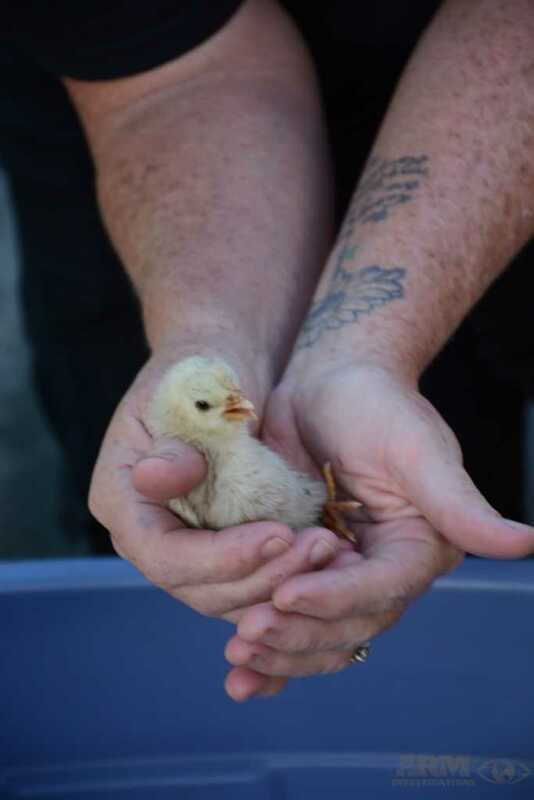 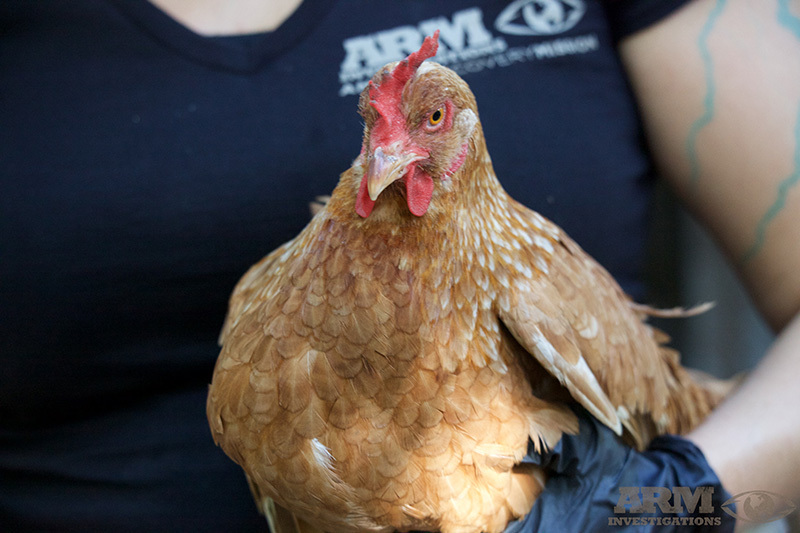 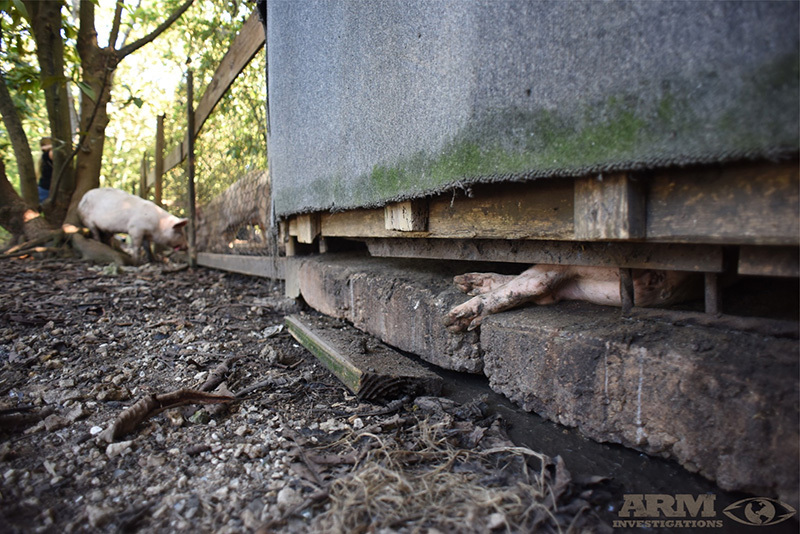 Upon each visit, ARM investigators documented and collected video and audio footage of extremely cruel and inhumane acts against animals carried out by the owner and operators of the farm. 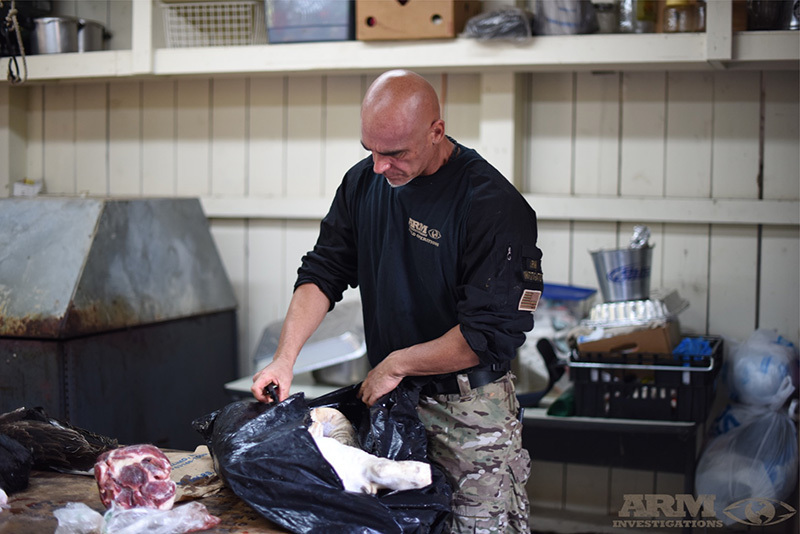 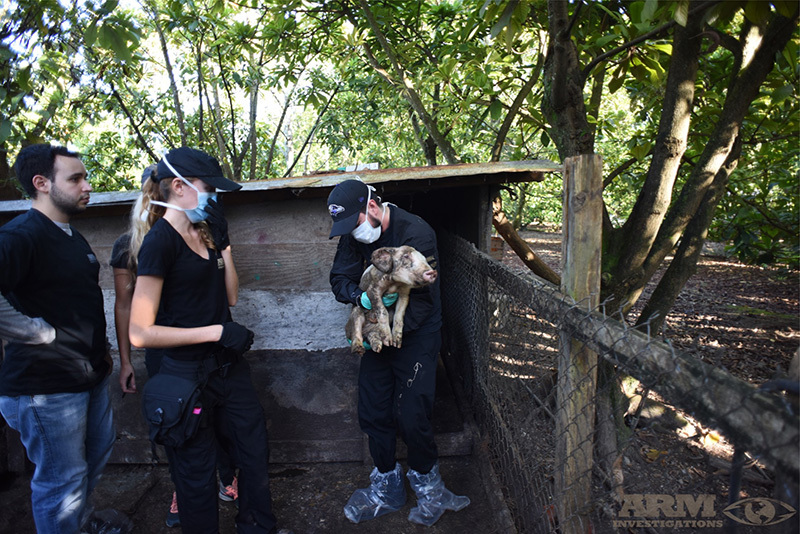 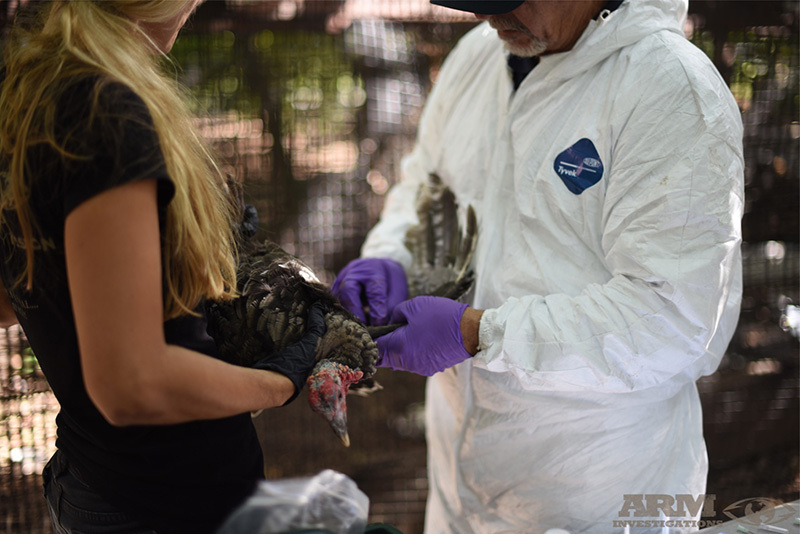 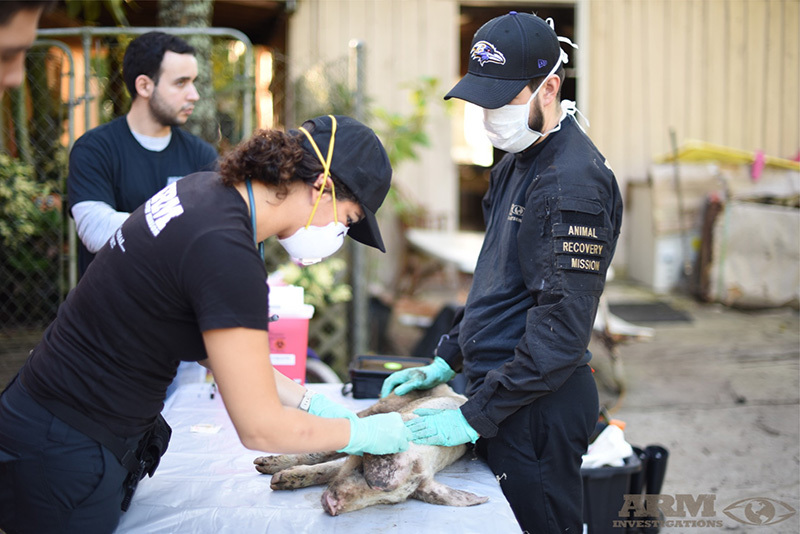 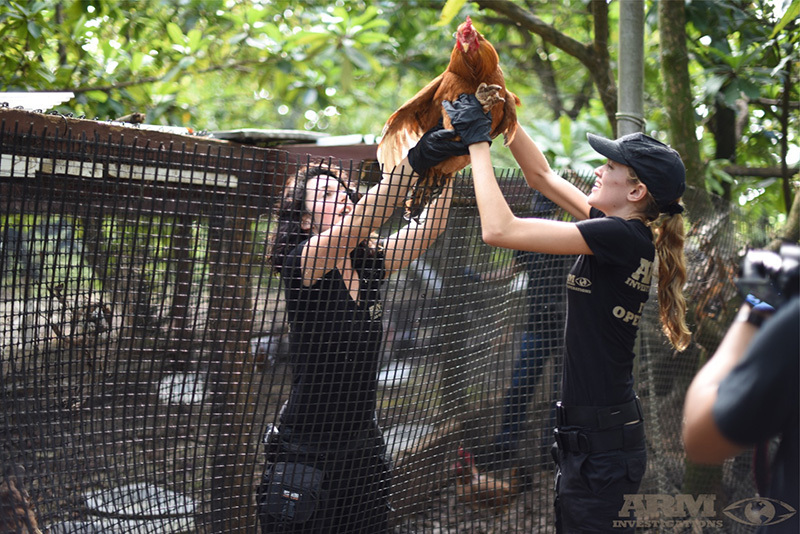 Evidence gathered throughout ARM’s investigation proved that these acts were indeed taking place regularly on this illegal slaughter farm. 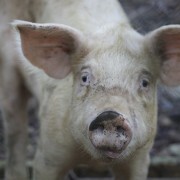 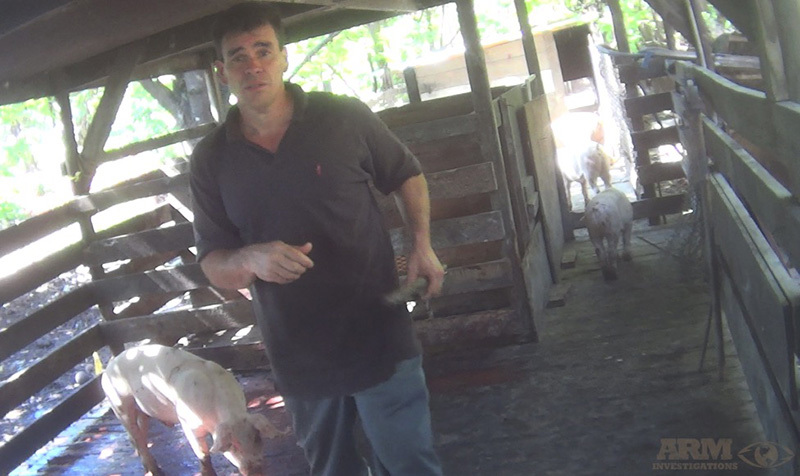 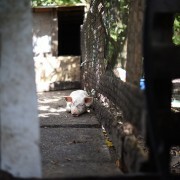 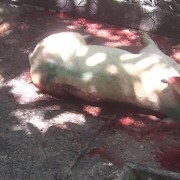 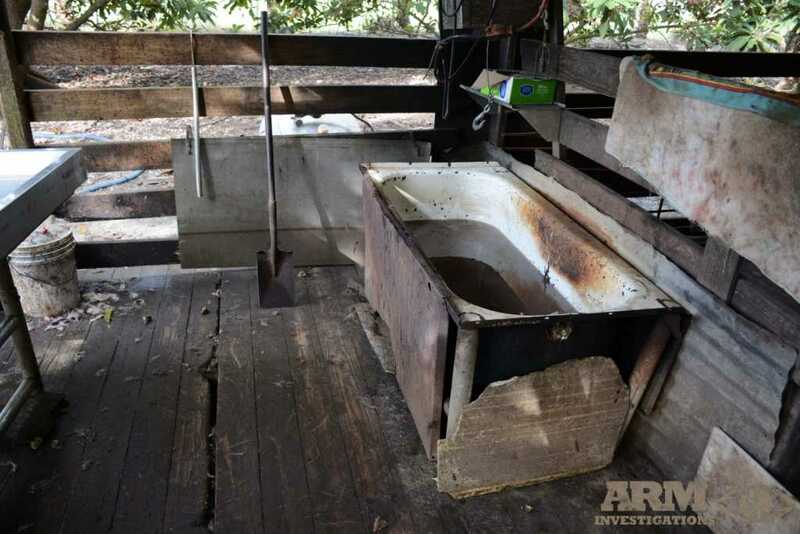 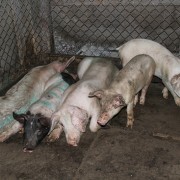 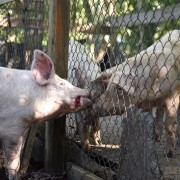 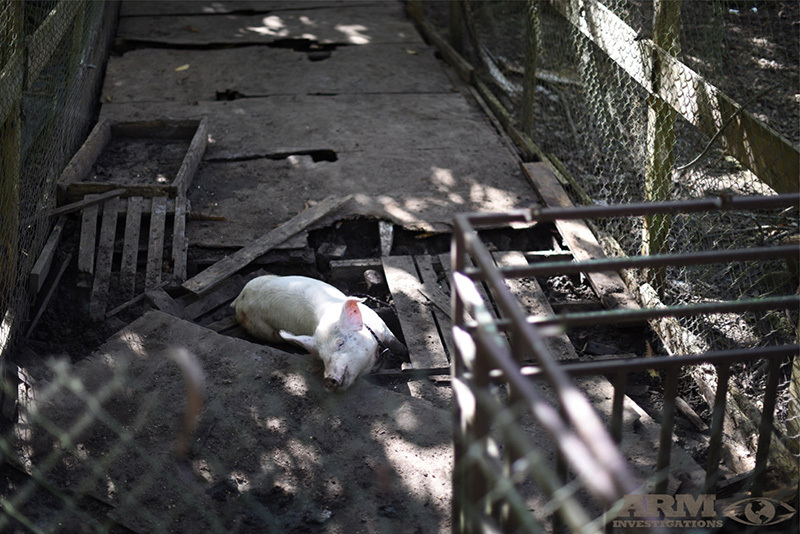 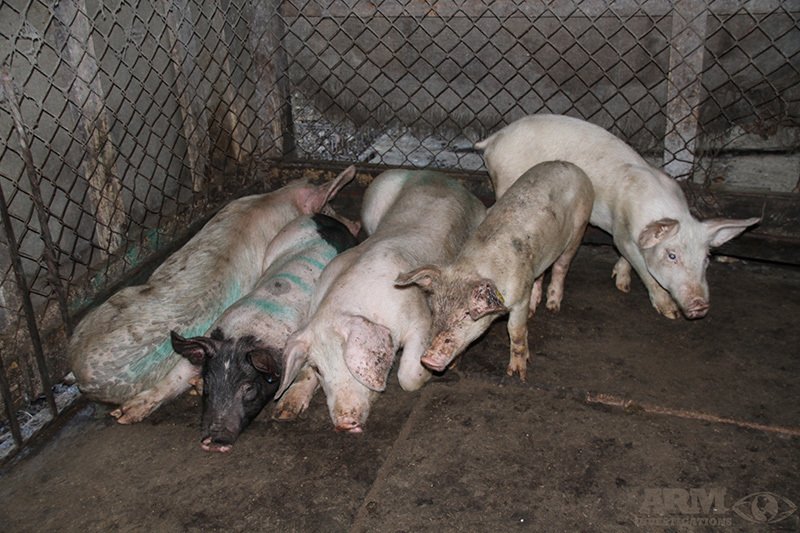 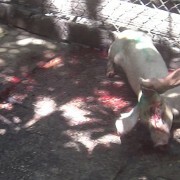 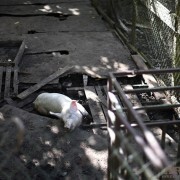 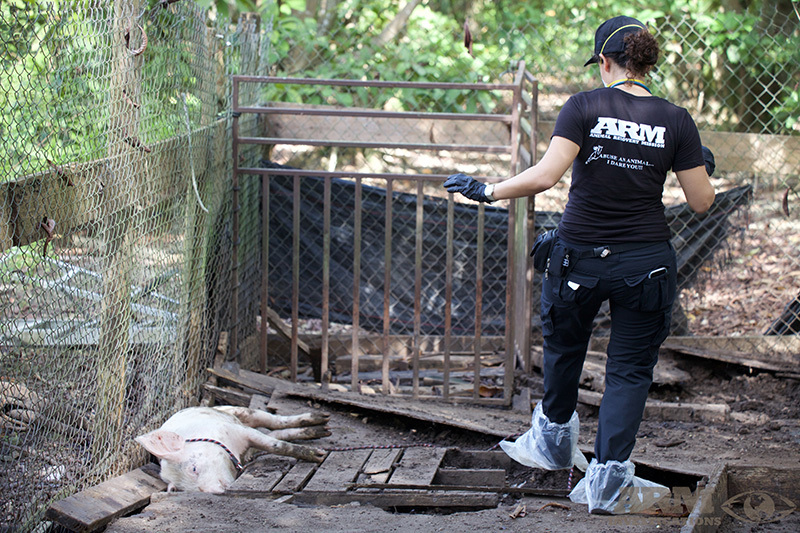 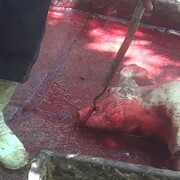 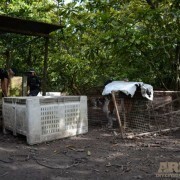 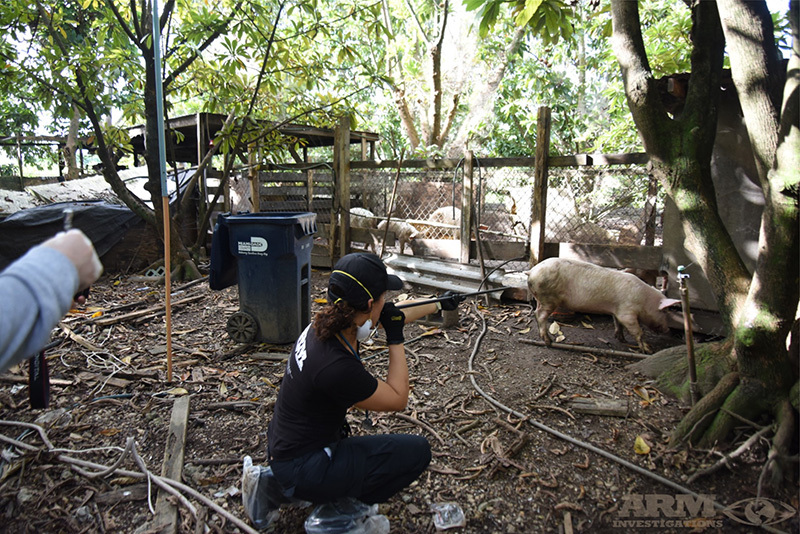 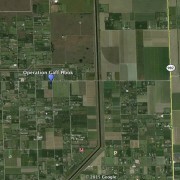 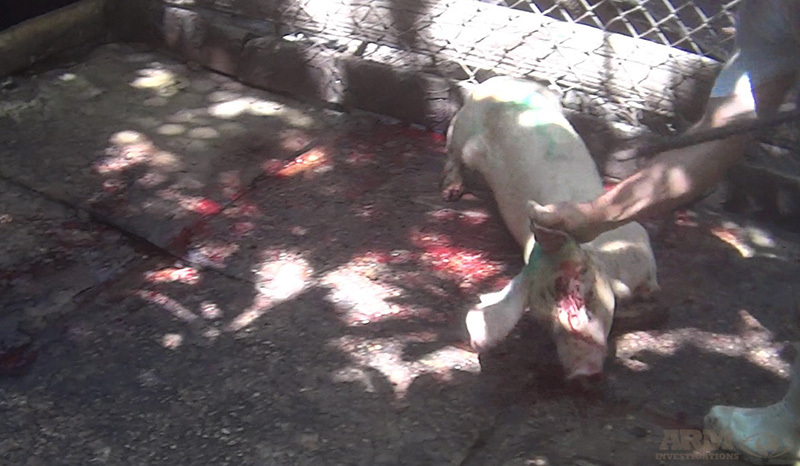 The illegal slaughter farm, owned and operated by a cuban male named Angel Ricardo Vargas, also known as Ricardo. 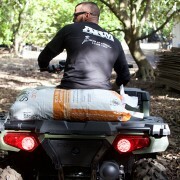 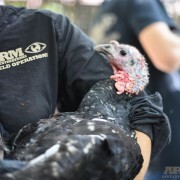 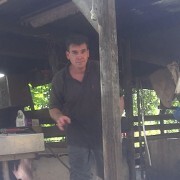 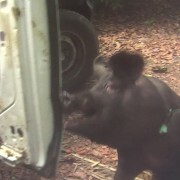 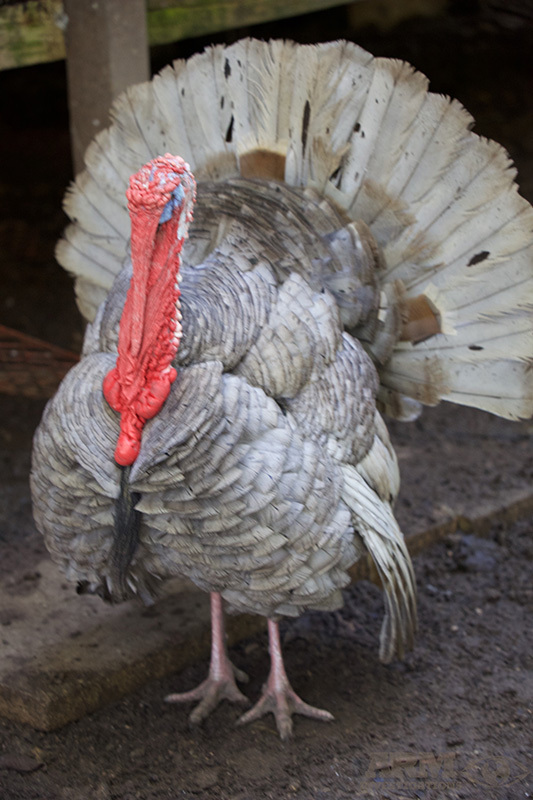 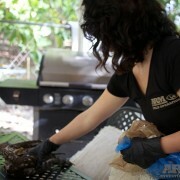 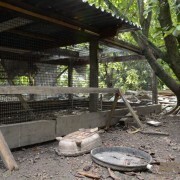 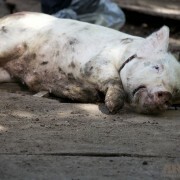 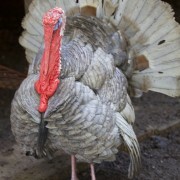 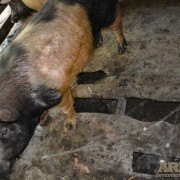 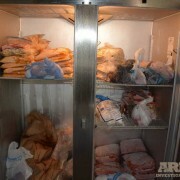 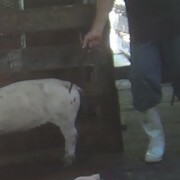 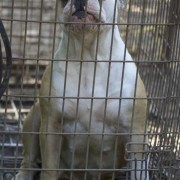 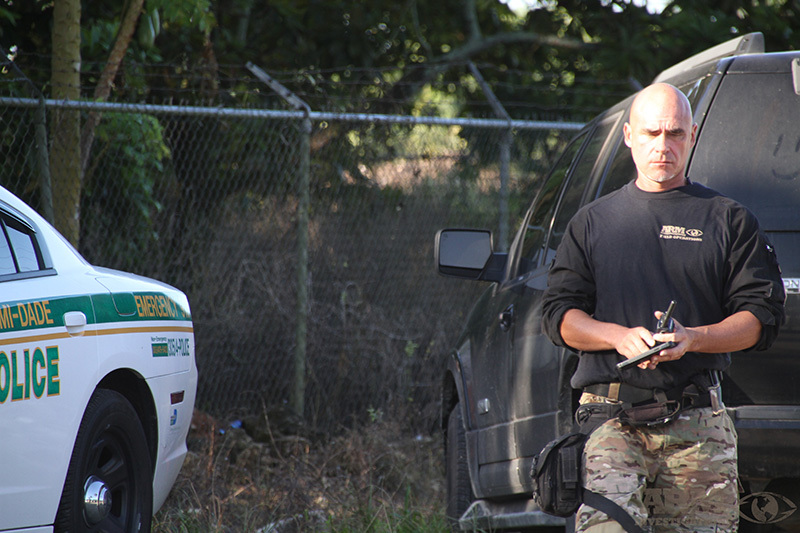 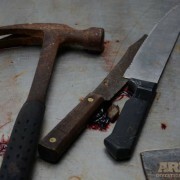 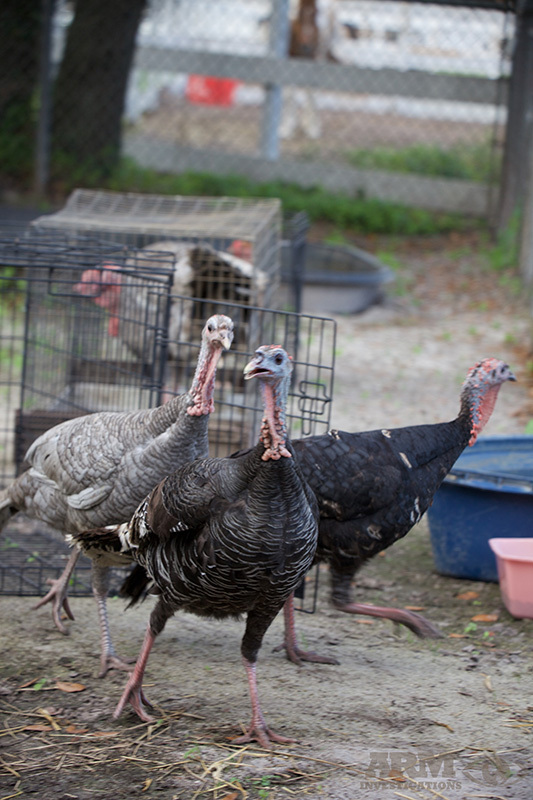 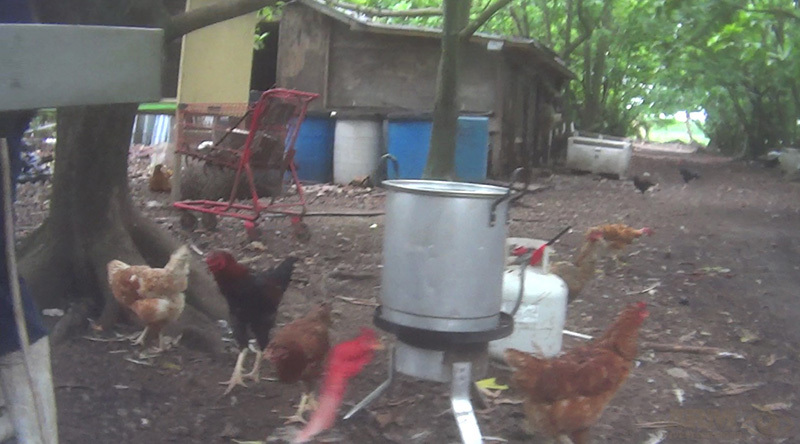 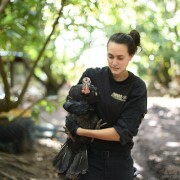 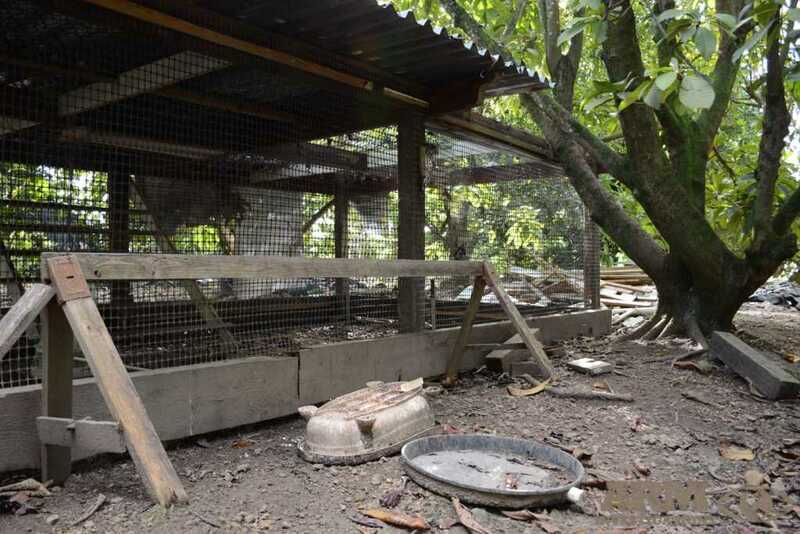 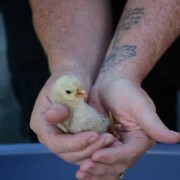 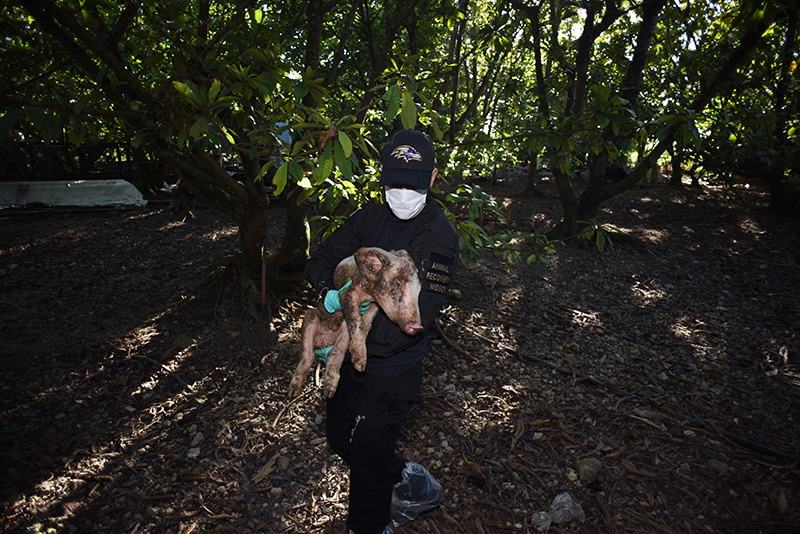 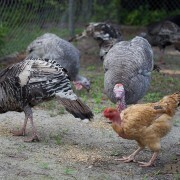 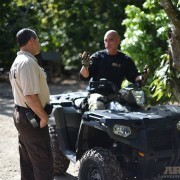 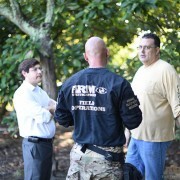 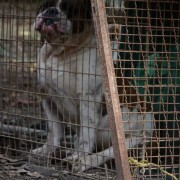 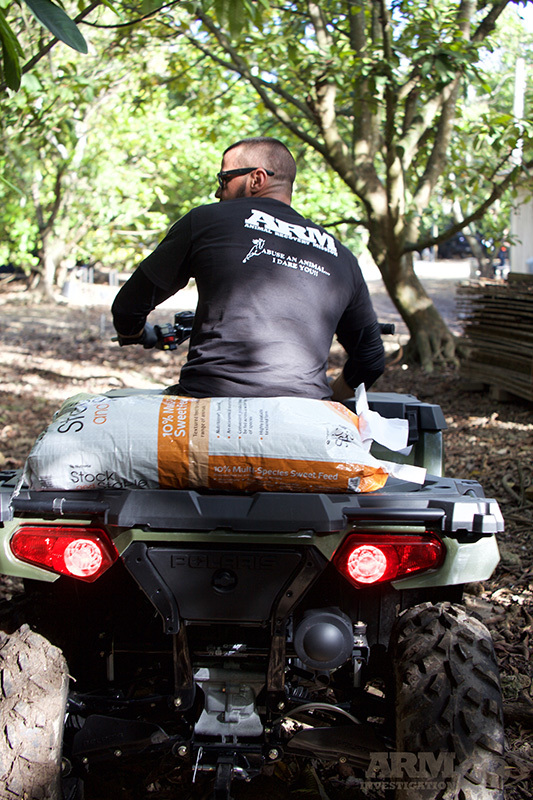 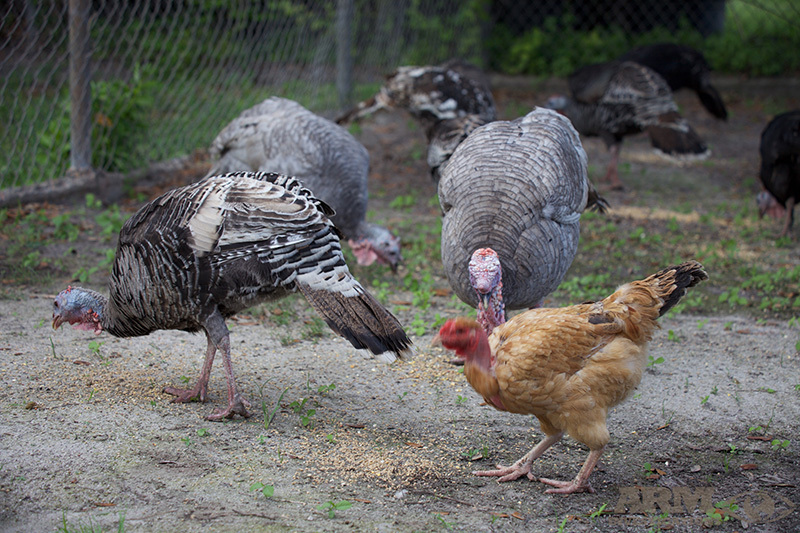 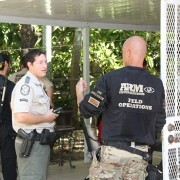 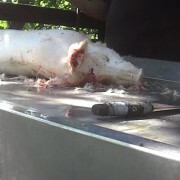 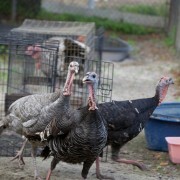 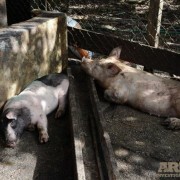 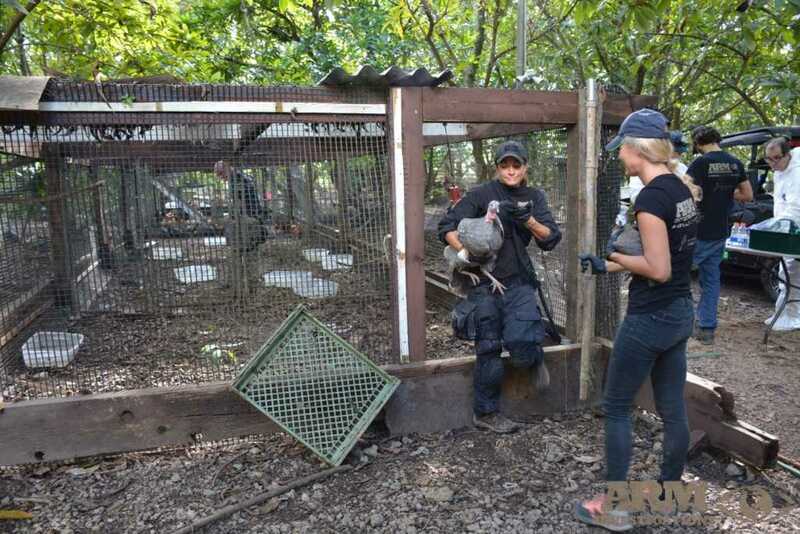 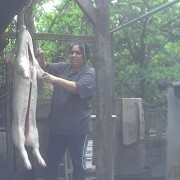 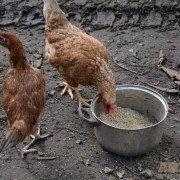 Ricardo operated the illegal business killing pigs, wild hogs, chickens, ducks and turkeys, right in own his backyard. 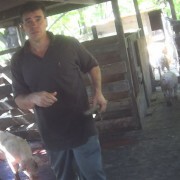 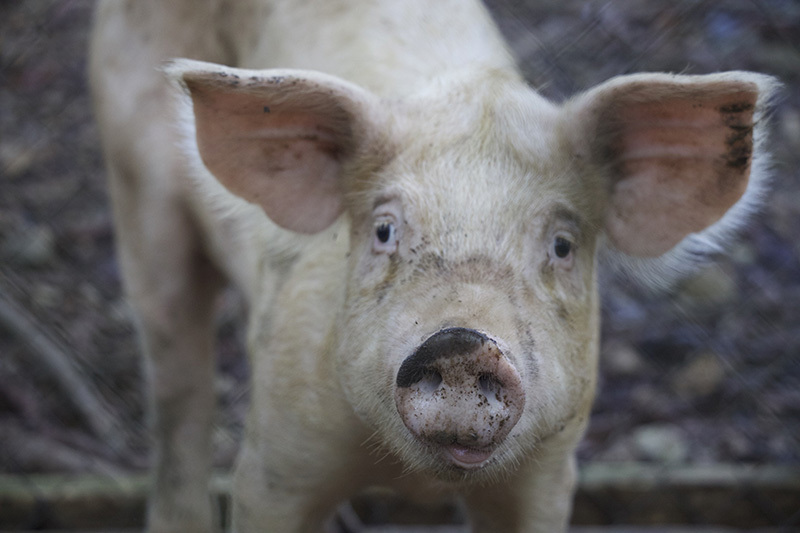 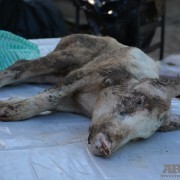 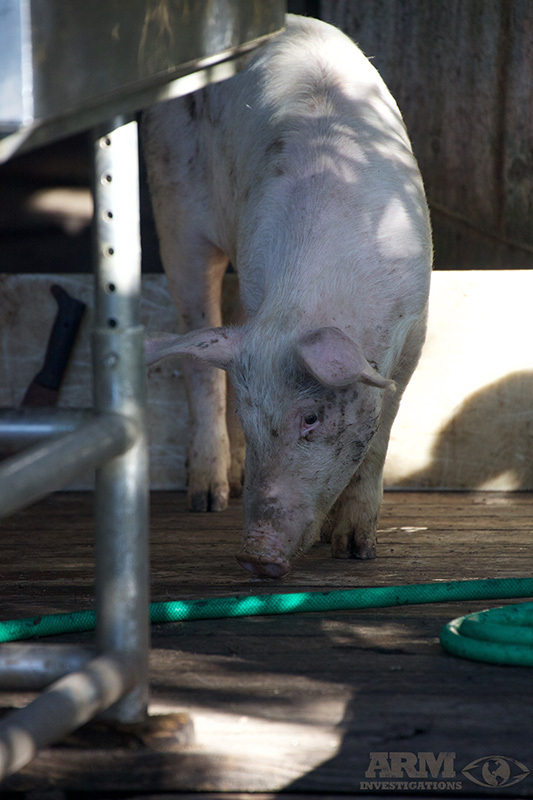 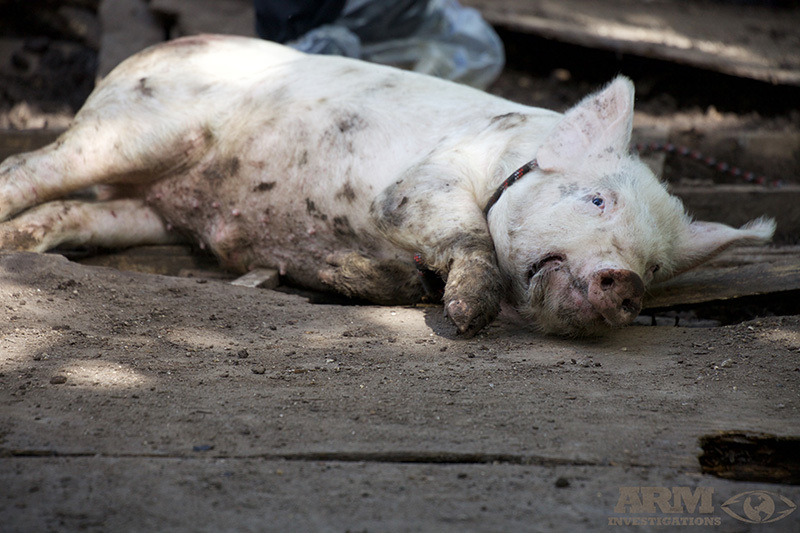 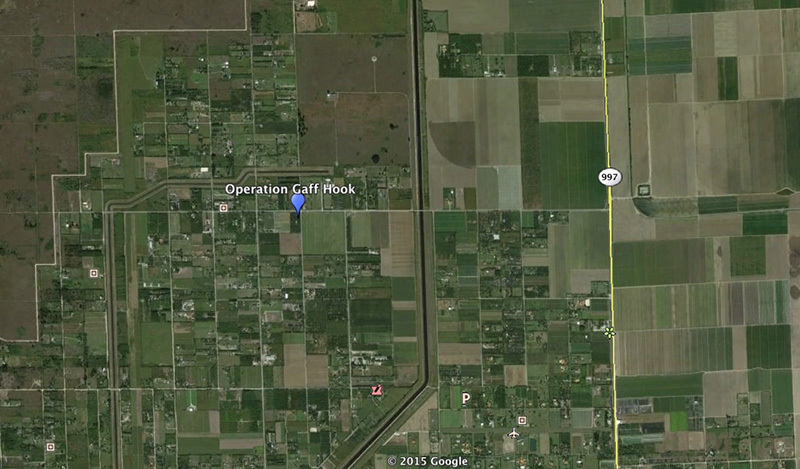 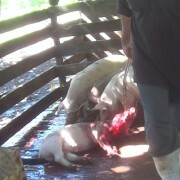 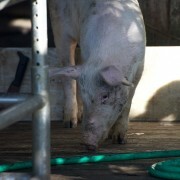 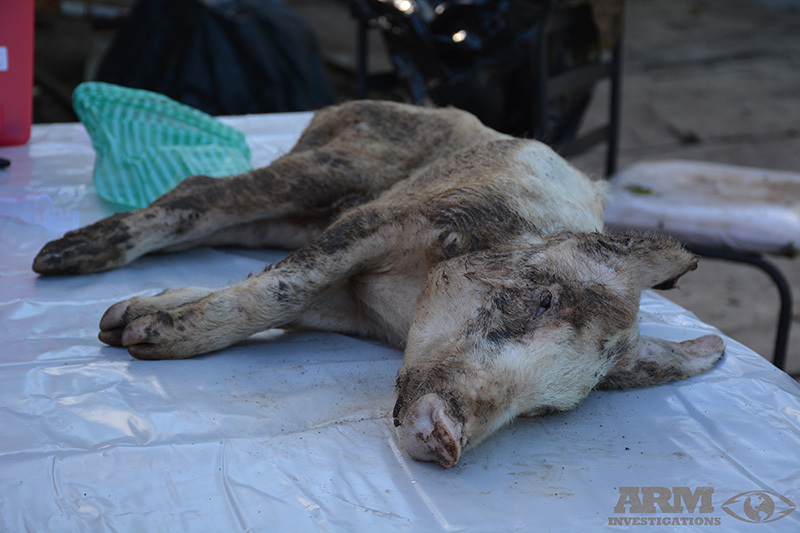 Ricardo, and his family all lived on the property, with the slaughter area just a mere 400ft from Ricardo’s house. 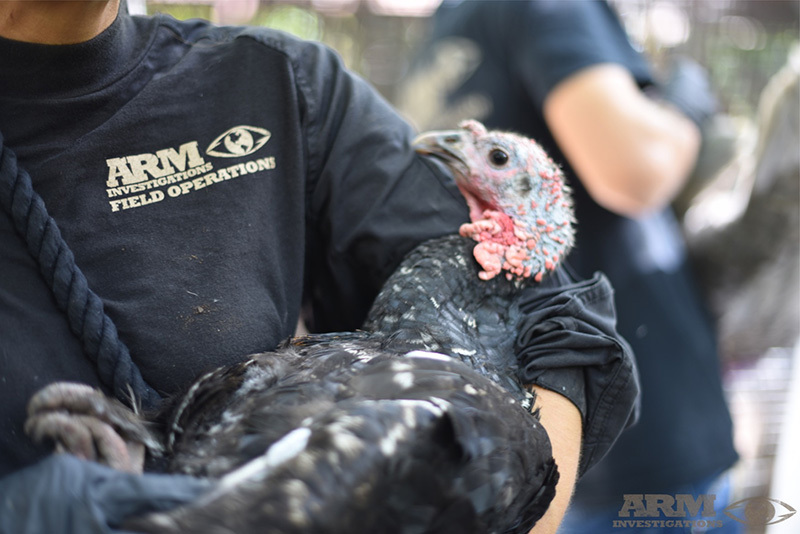 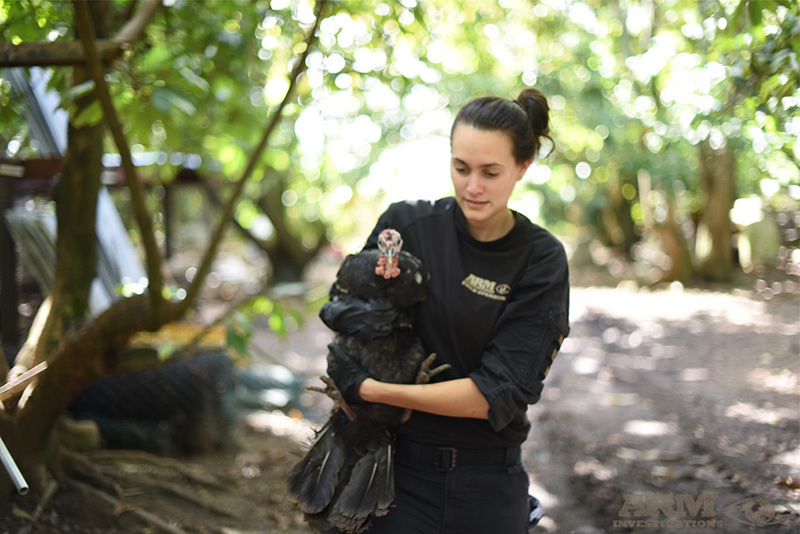 Animals on site that were tortured, deprived and killed violently included pigs, hens, roosters, guinea fowl, ducks, turtles, pigeons, turkeys. 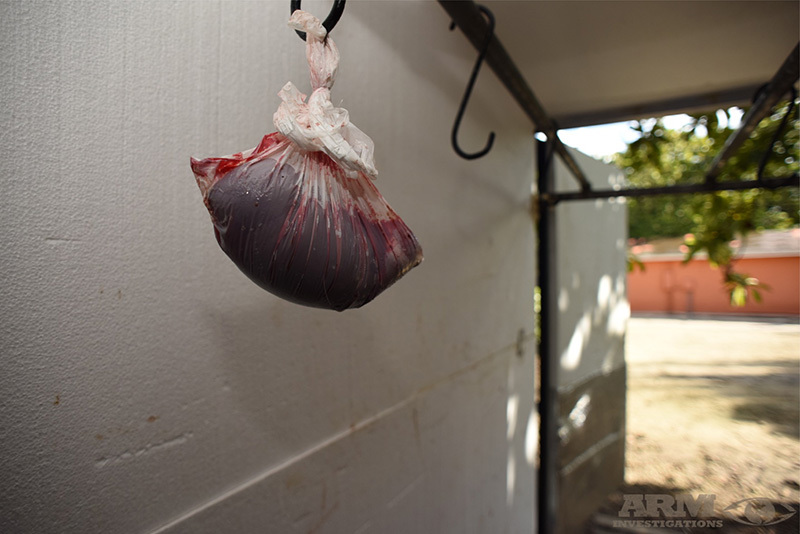 Animals on site were either being slaughtered and sold to the public for human consumption, or sold for Santaria and black magic purposes. 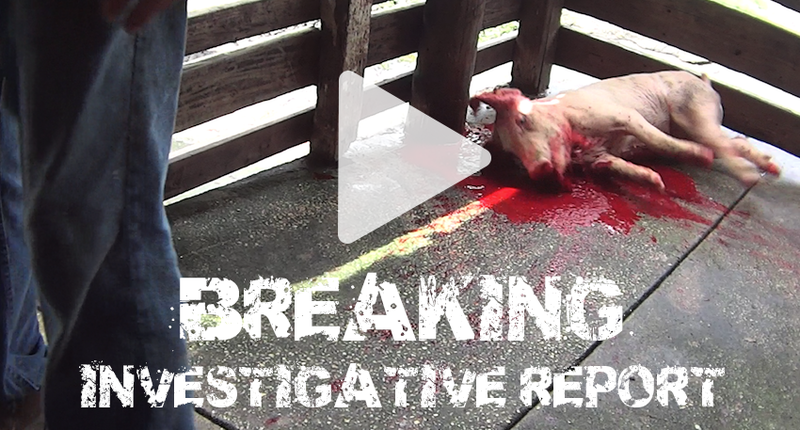 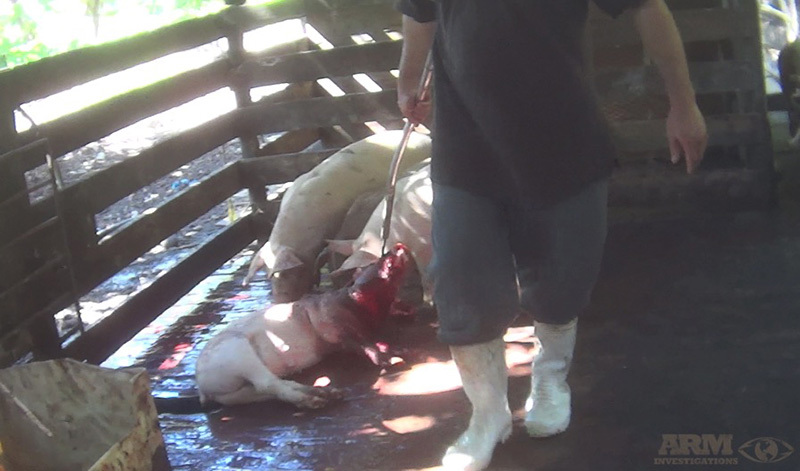 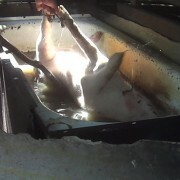 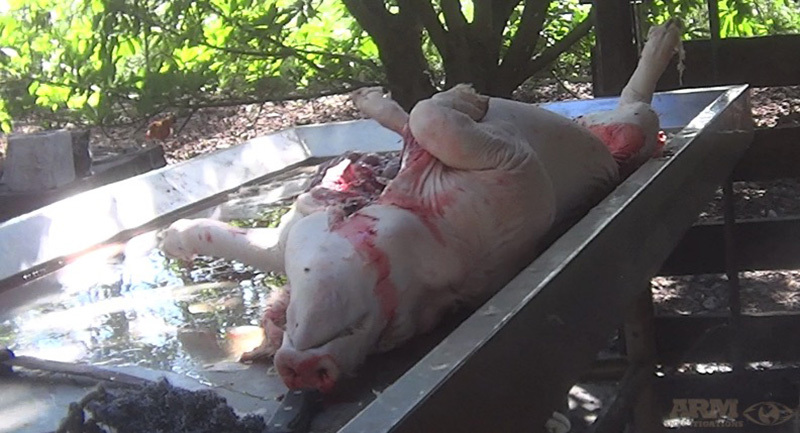 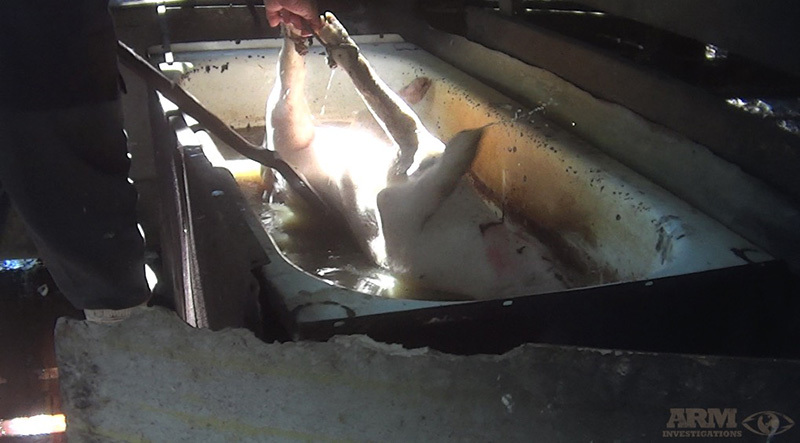 Shocking footage was gathered and whilst this illegal slaughter farm was on a smaller scale of operation, the killings themselves were barbaric and never before seen methods and instruments were used. 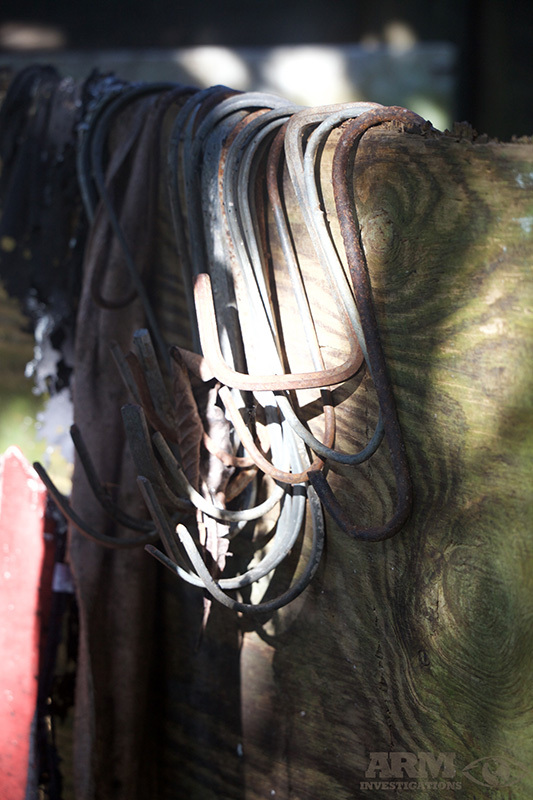 Gaff hooks, that are very sharp hooks connected to a 5 foot metal pole, were inserted into the pig’s jaws. 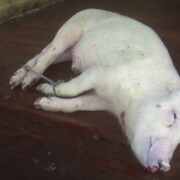 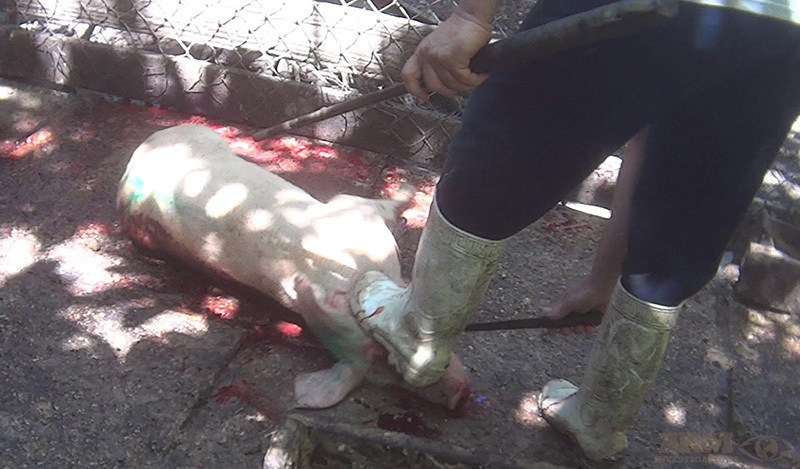 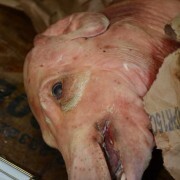 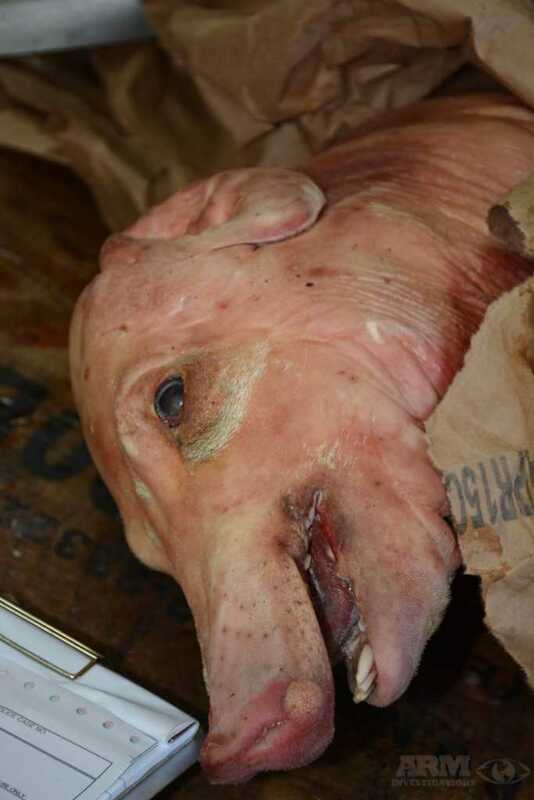 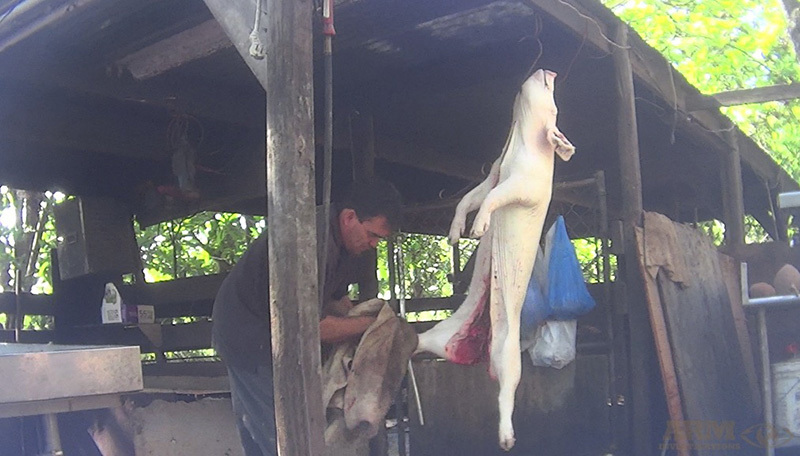 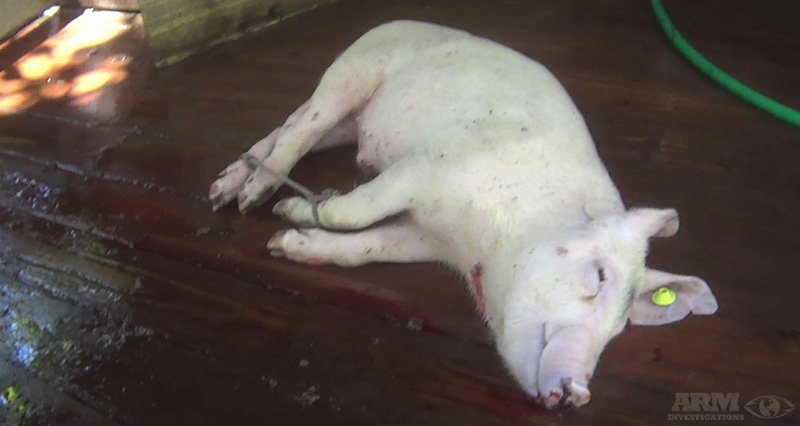 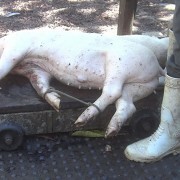 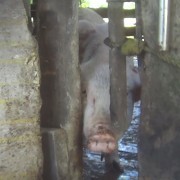 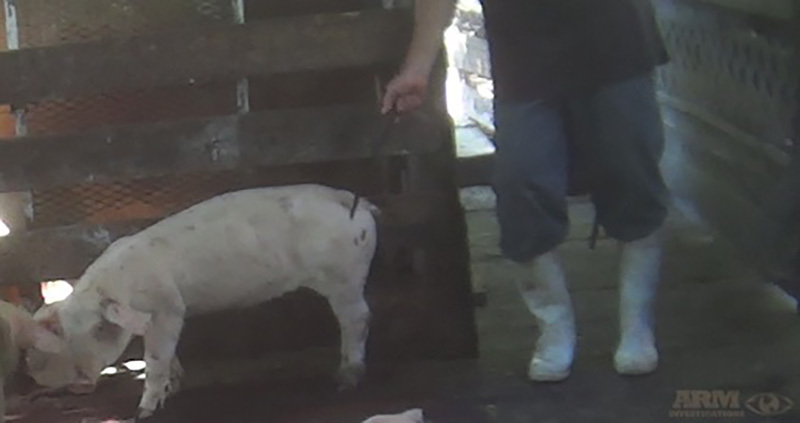 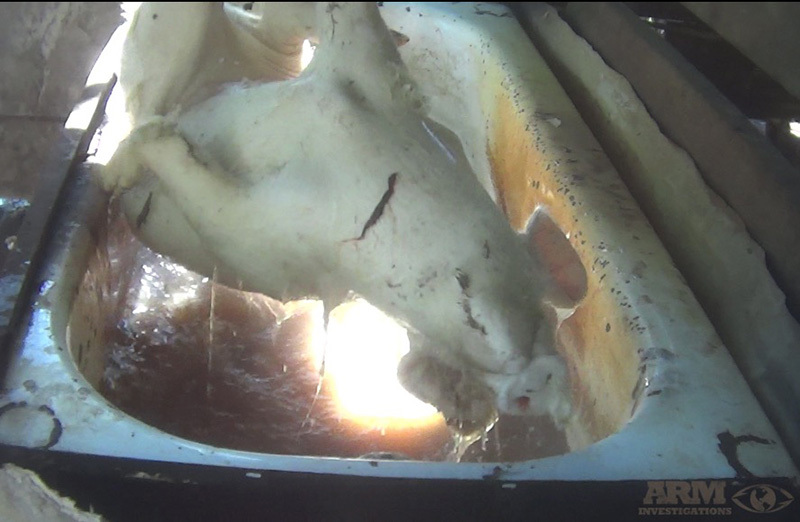 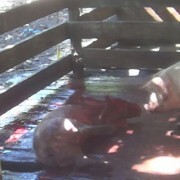 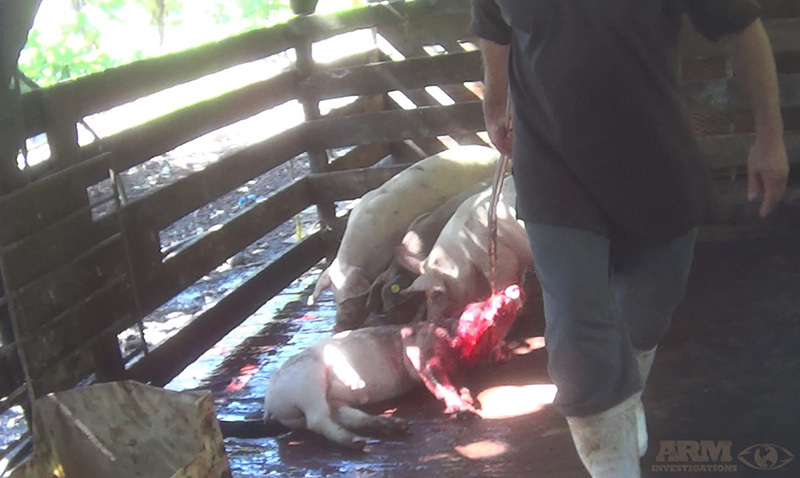 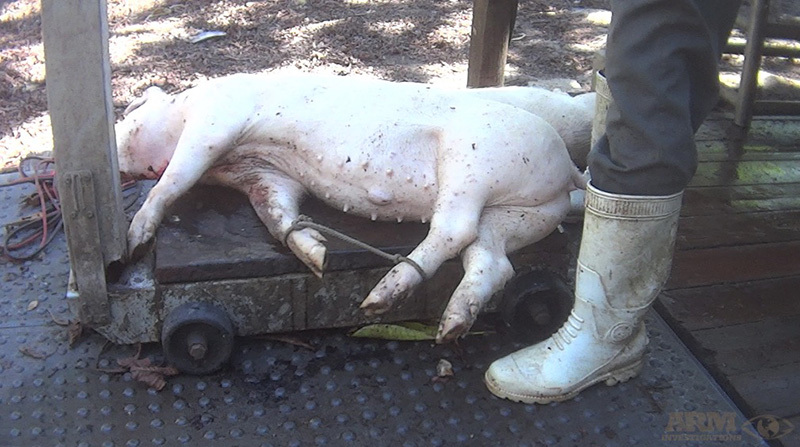 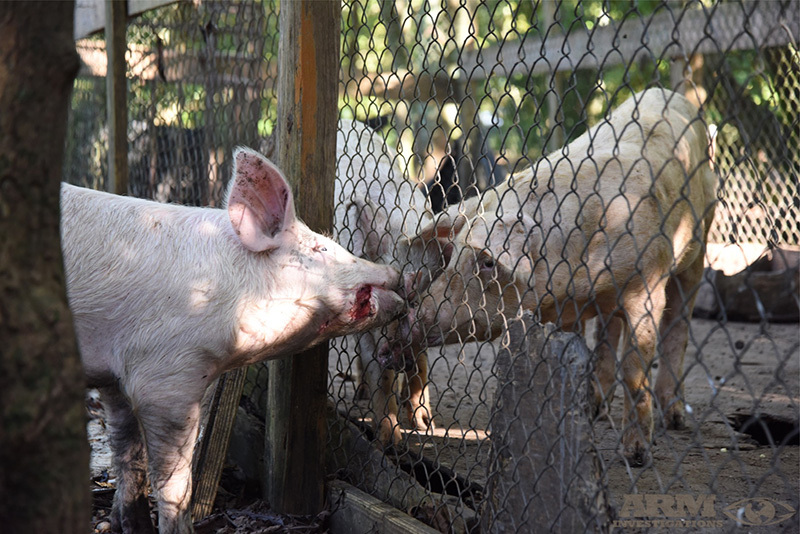 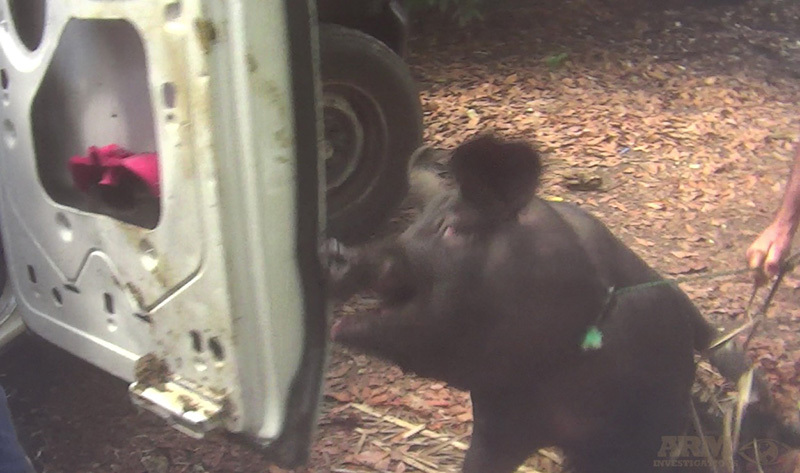 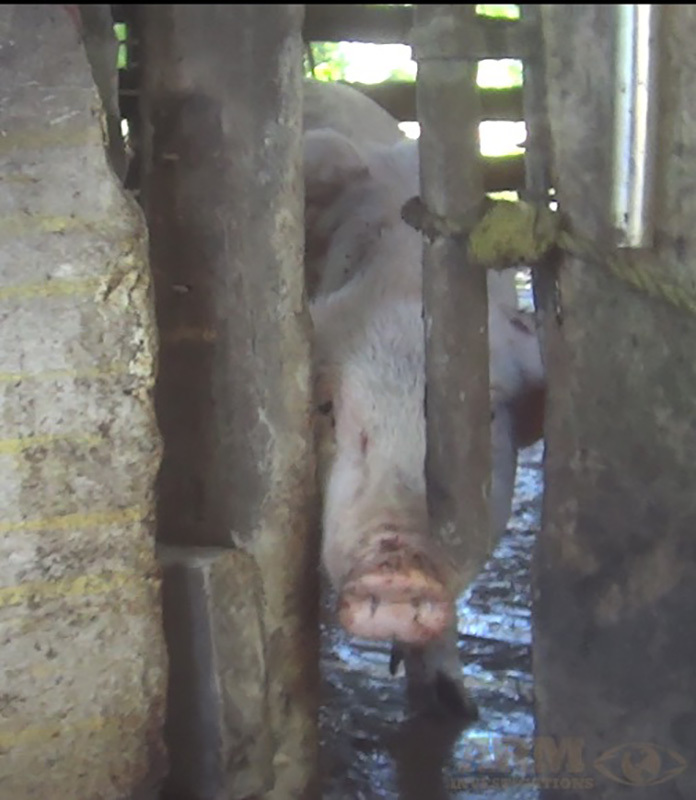 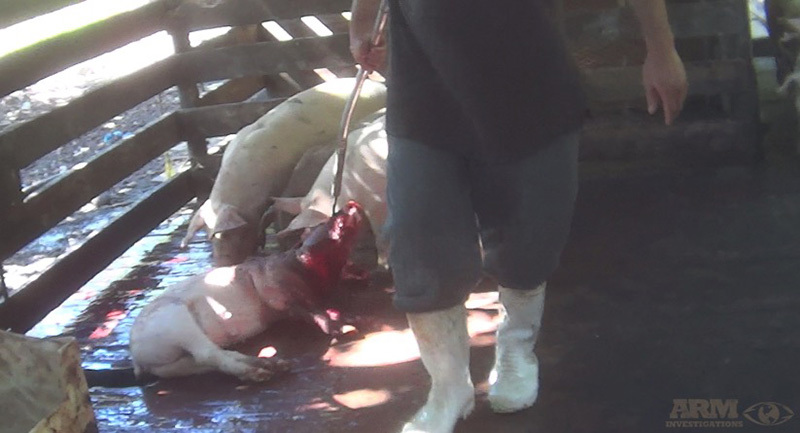 The hooks were so large that they would tear through to the outside of the animals face.The pig was then dragged by the pole, for 75 feet to the butcher area, all while still alive, it’s entire body weight being burdened on its mouth. 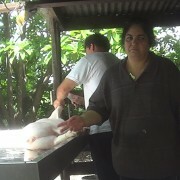 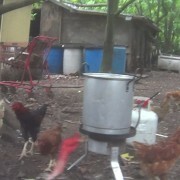 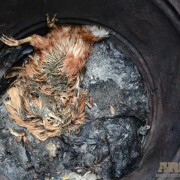 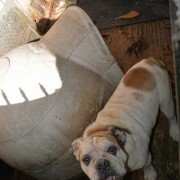 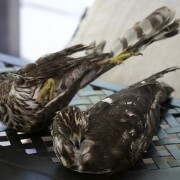 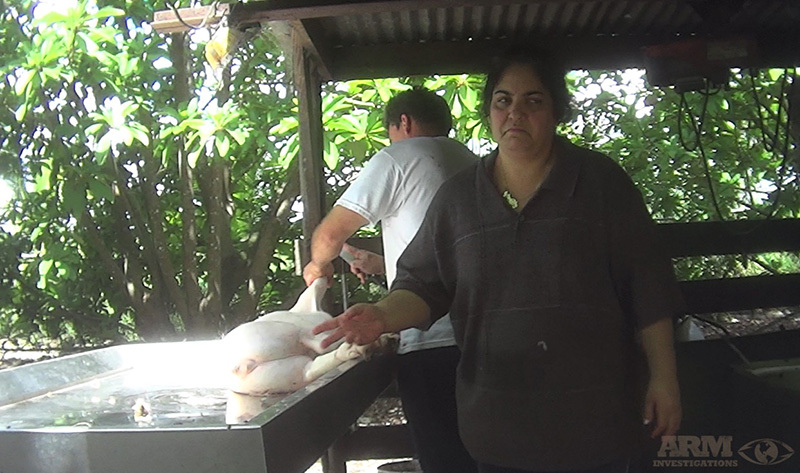 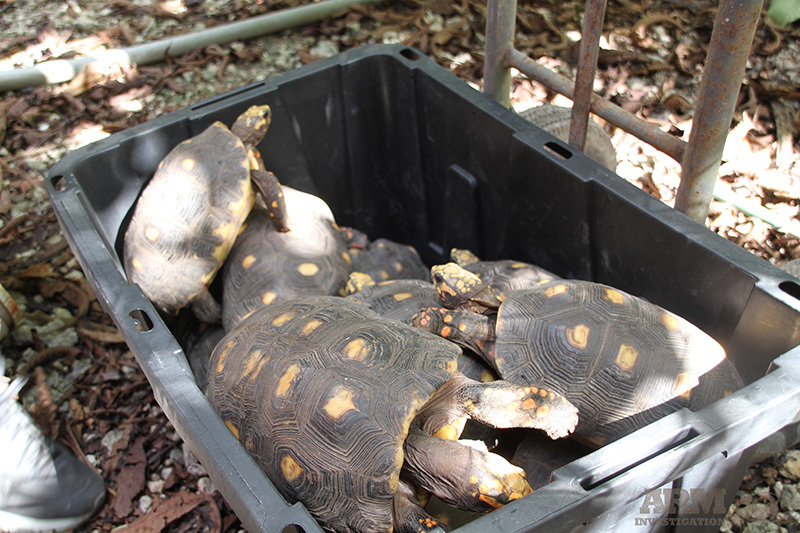 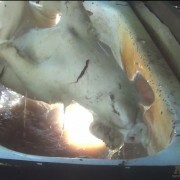 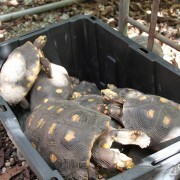 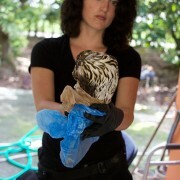 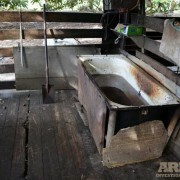 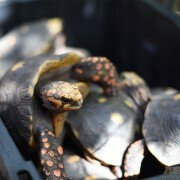 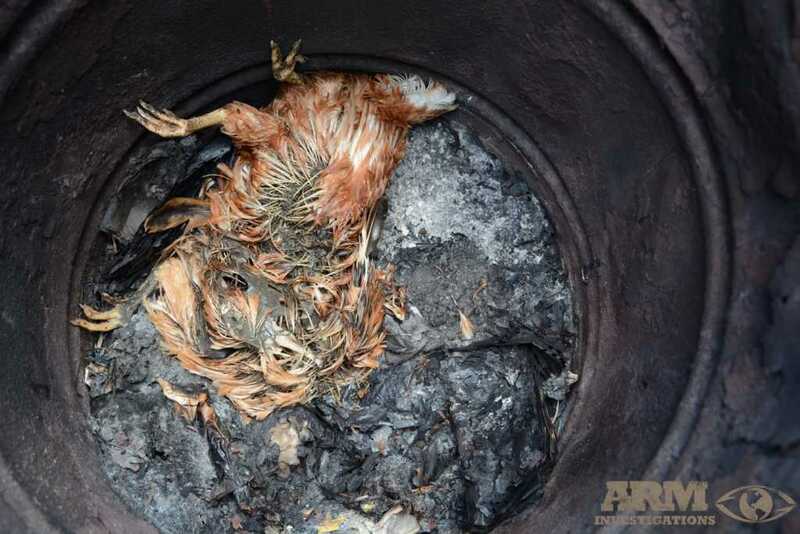 The animals were then dumped into tubs of boiling water, where is the animal would drown and burn to a quelling death. 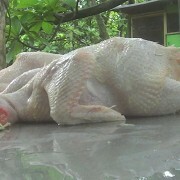 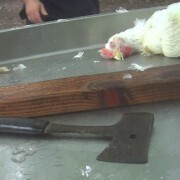 Chickens were also killed in brutal ways by stretching the animals neck and one by one, breaking their bones, killing them slowly. 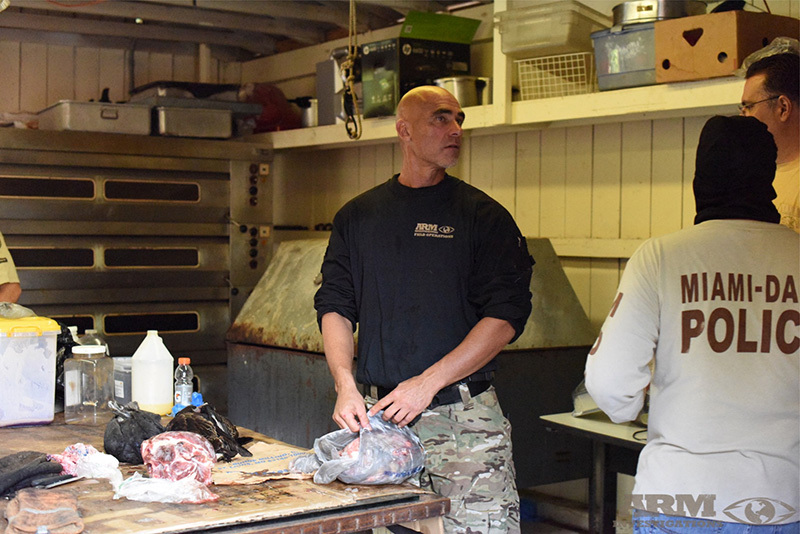 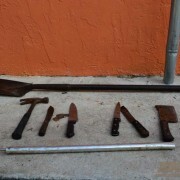 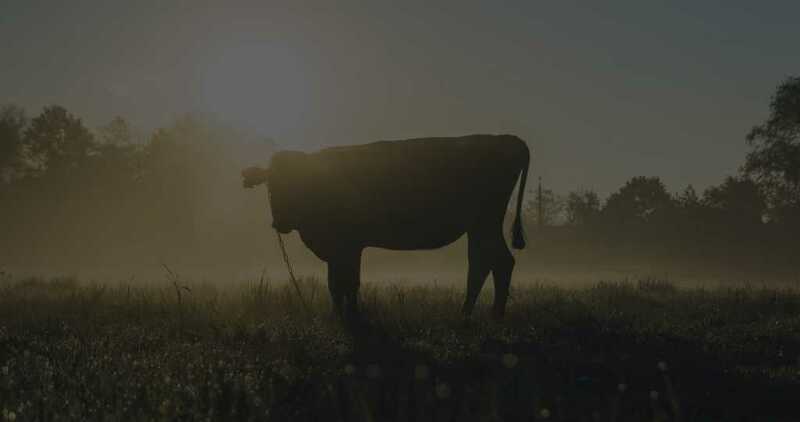 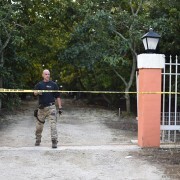 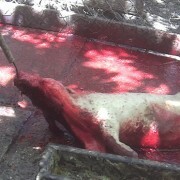 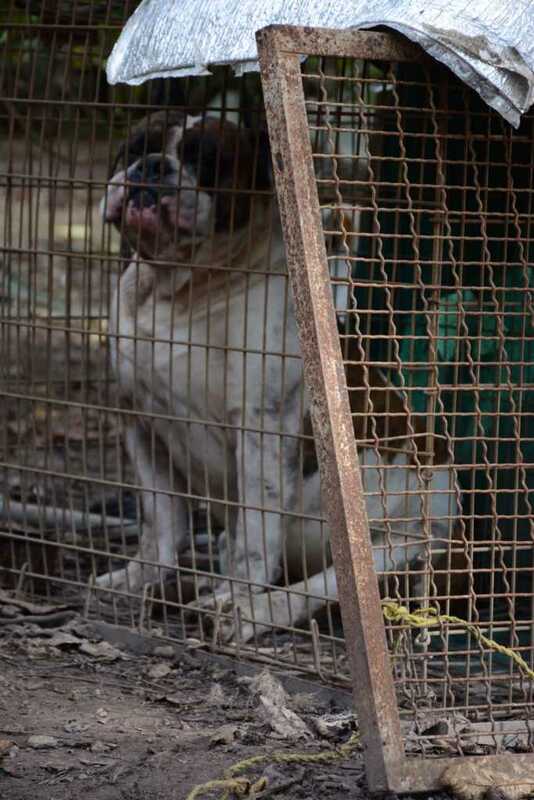 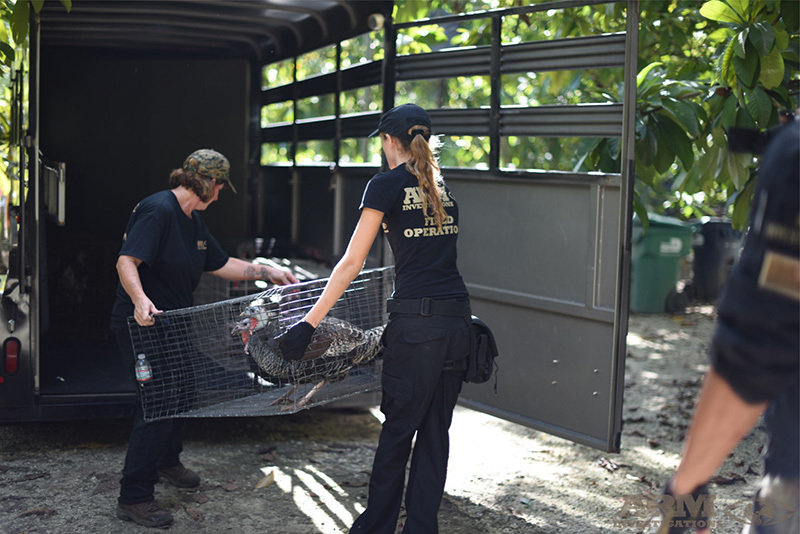 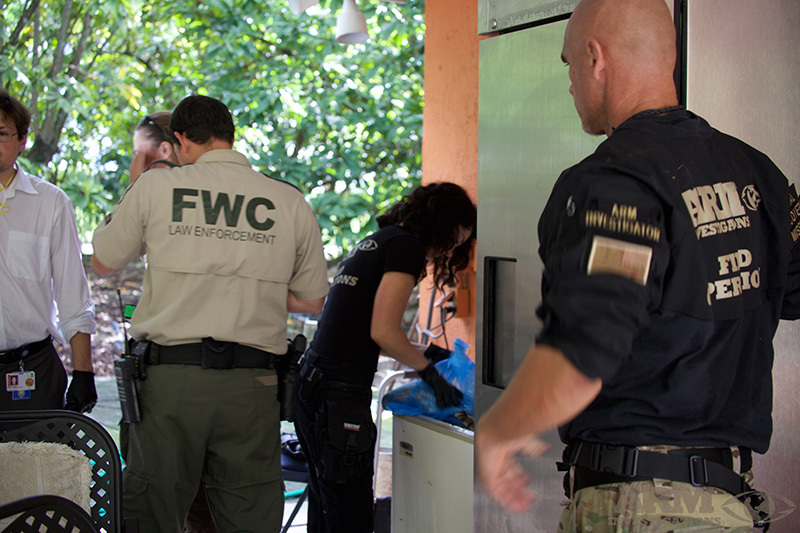 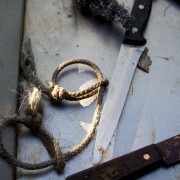 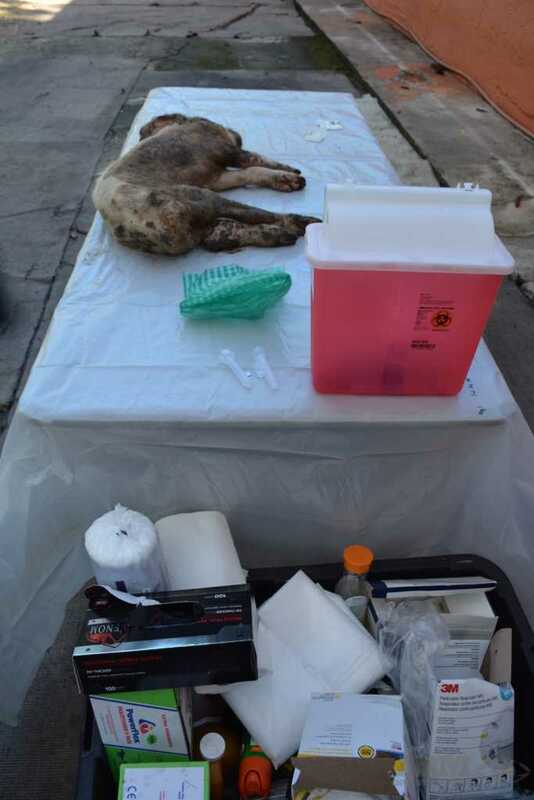 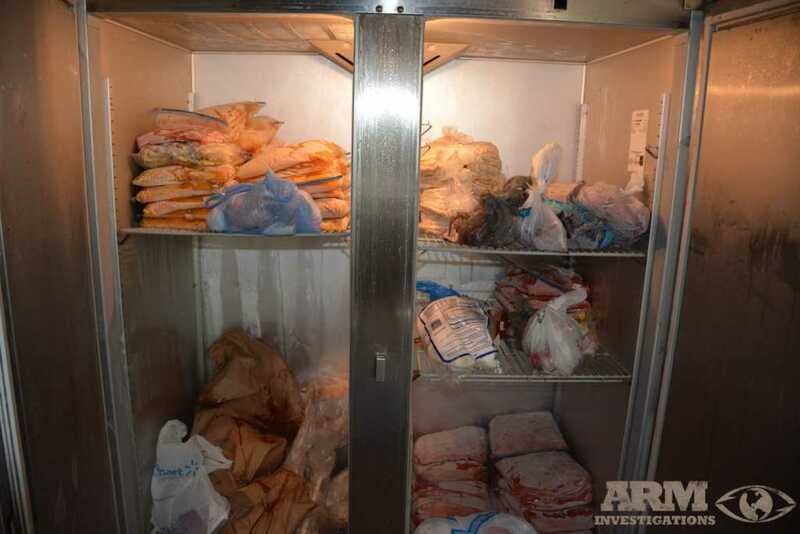 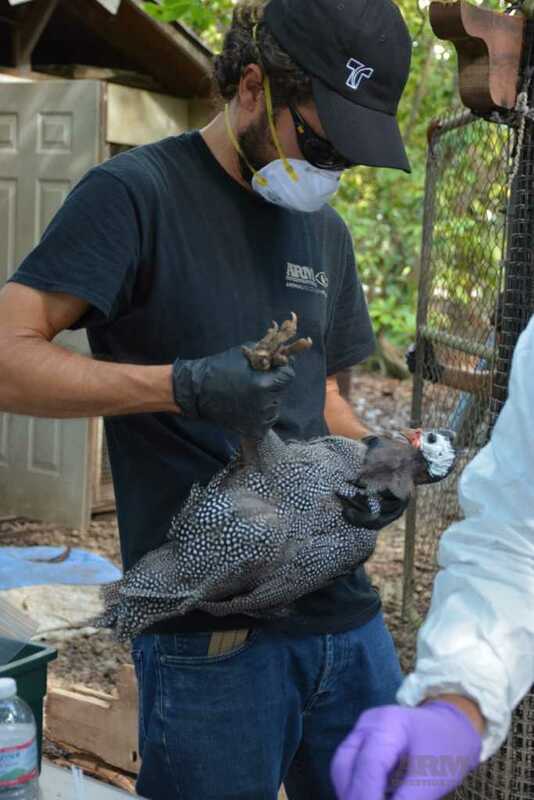 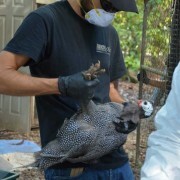 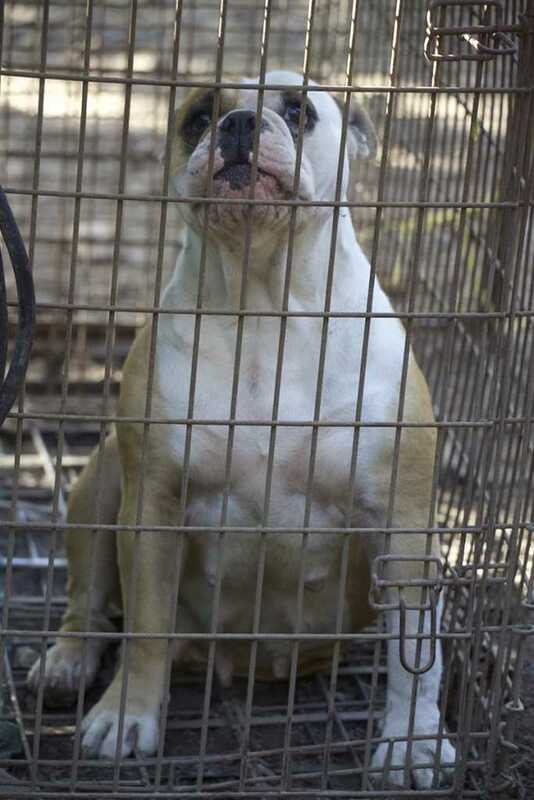 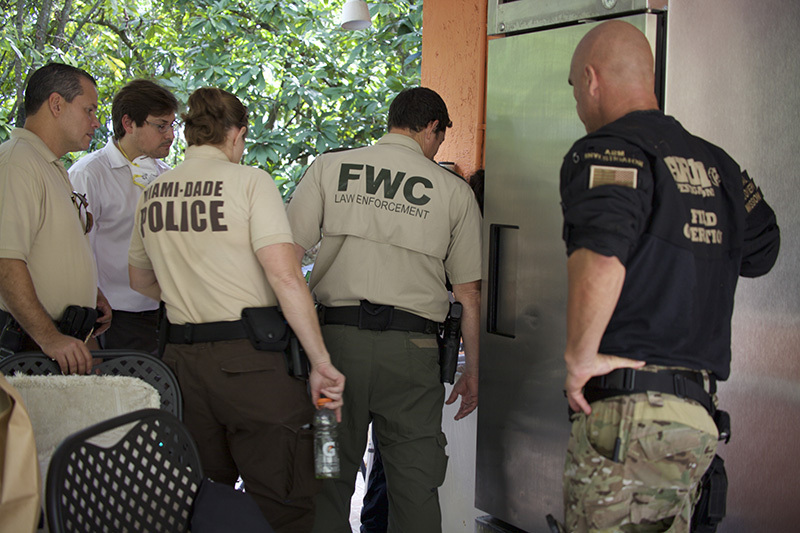 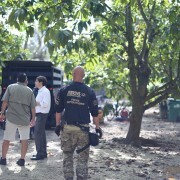 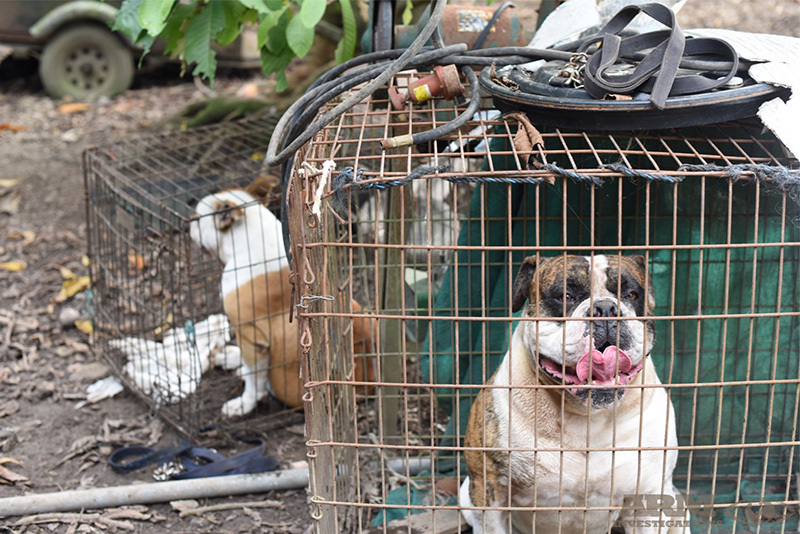 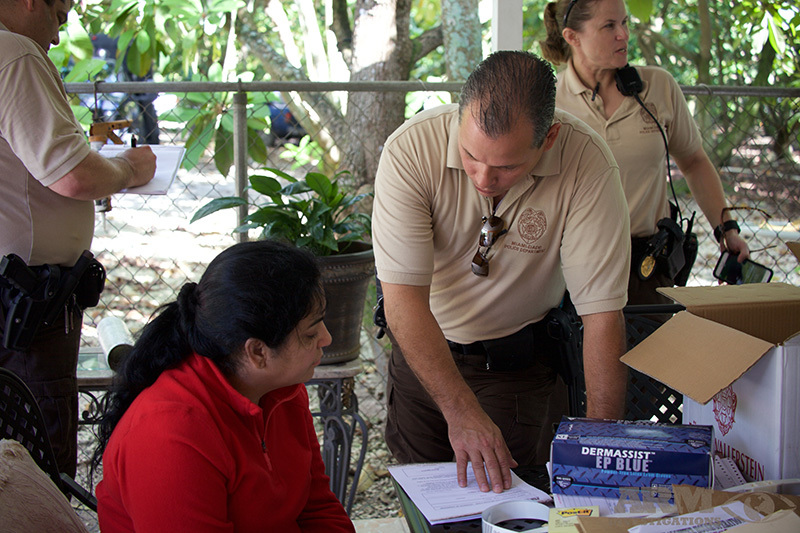 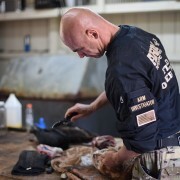 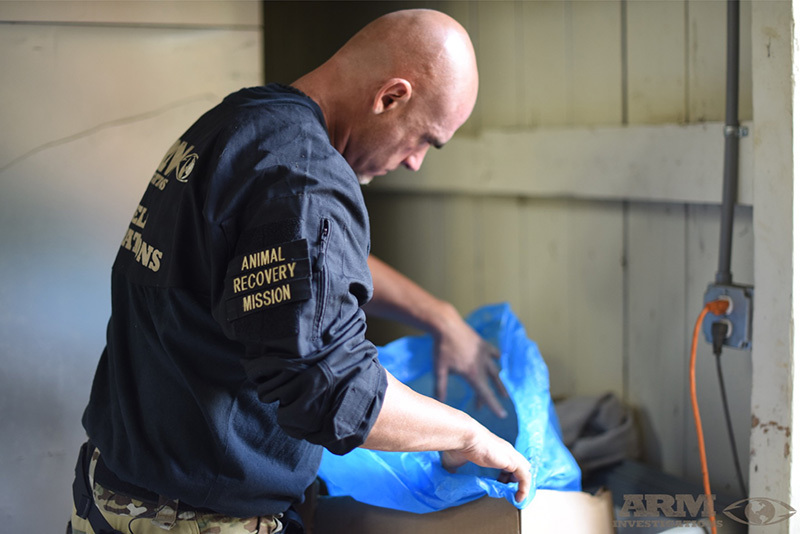 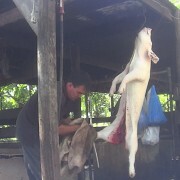 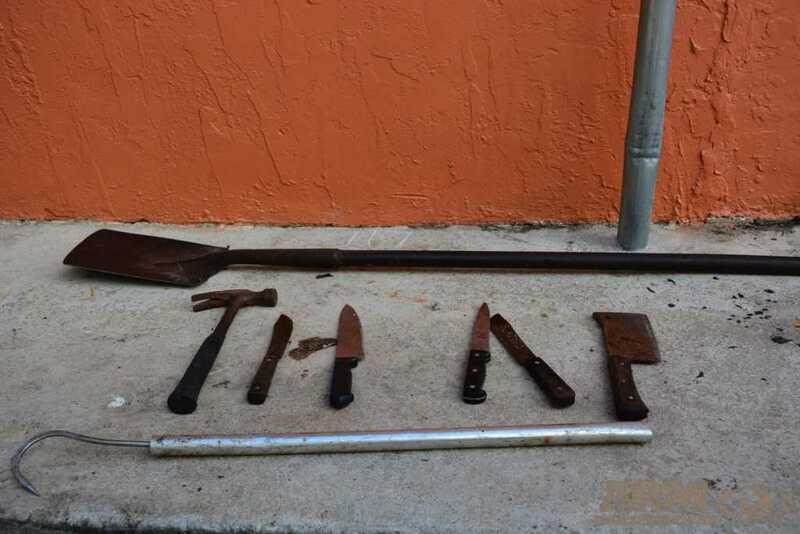 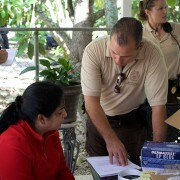 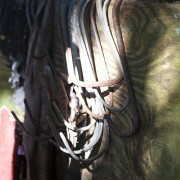 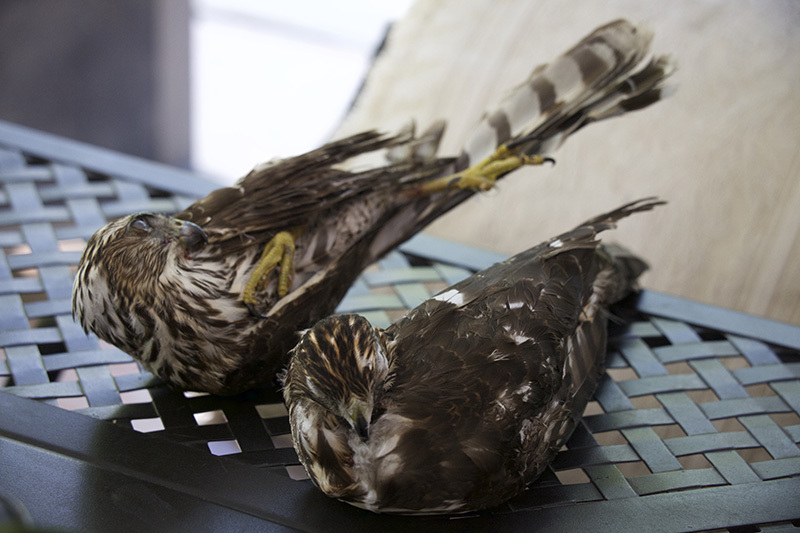 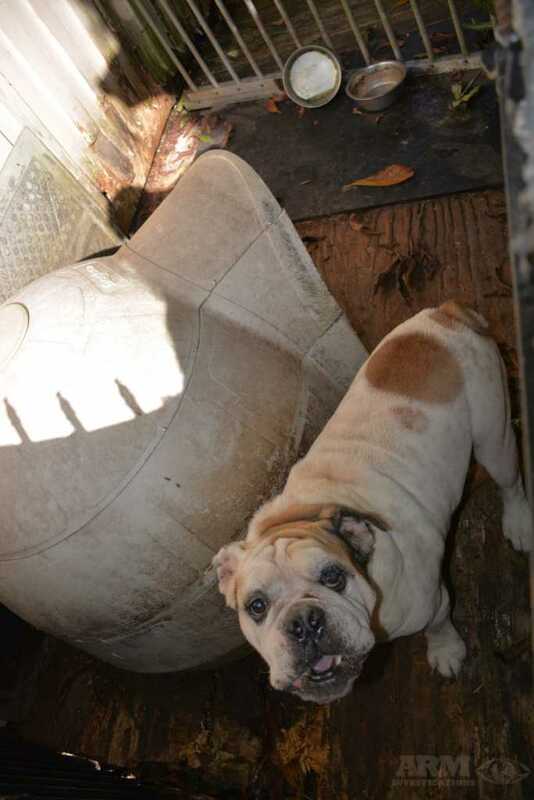 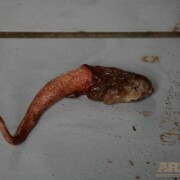 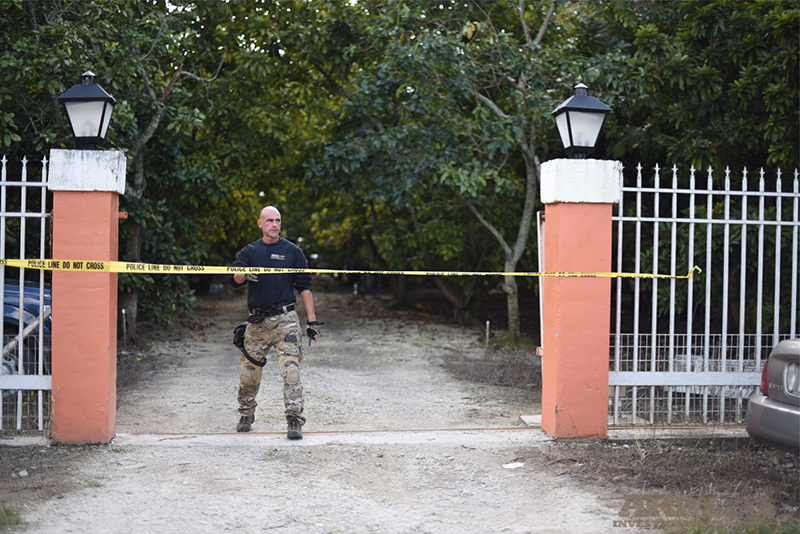 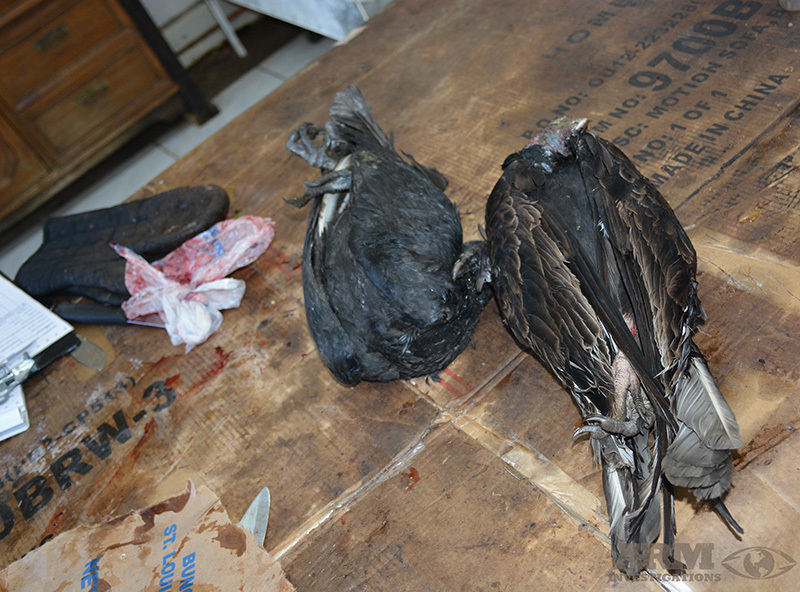 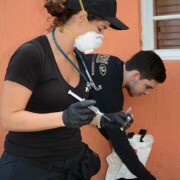 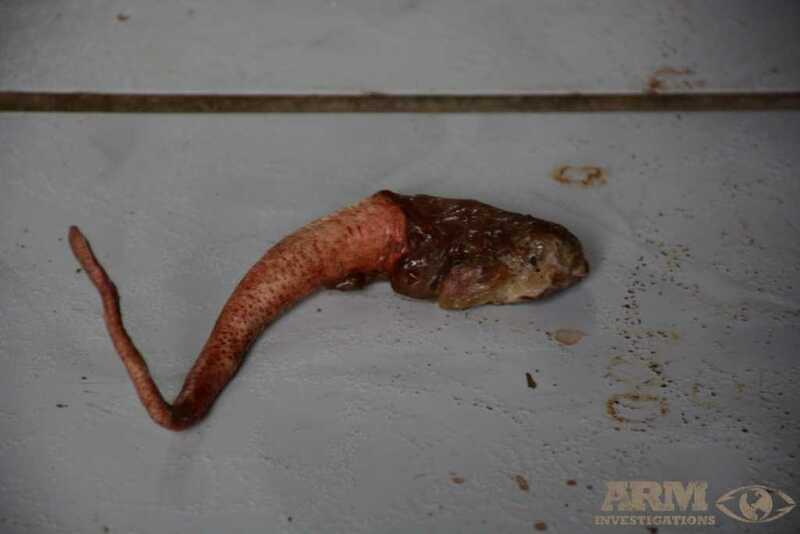 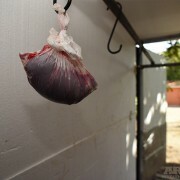 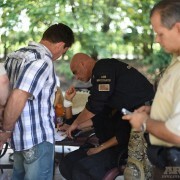 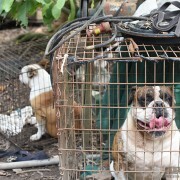 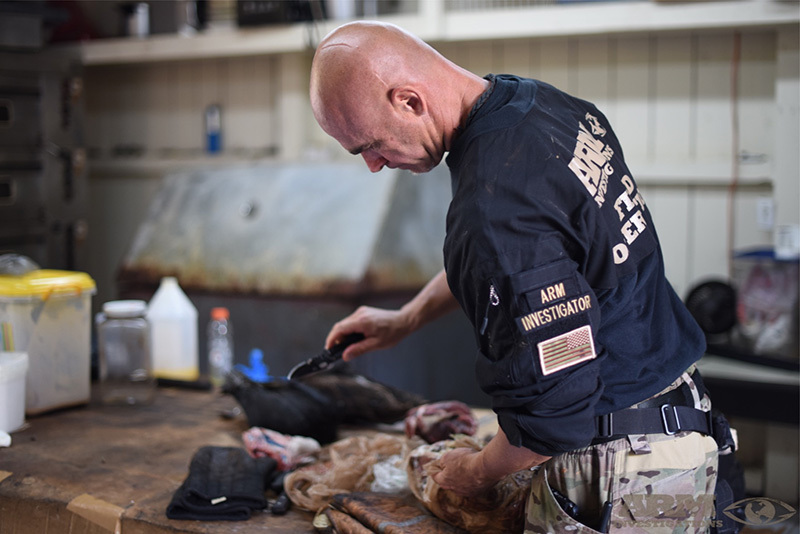 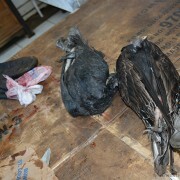 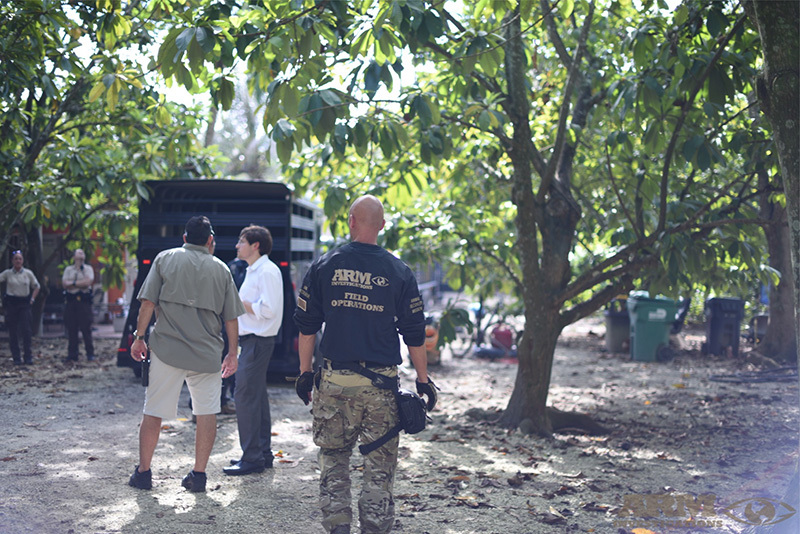 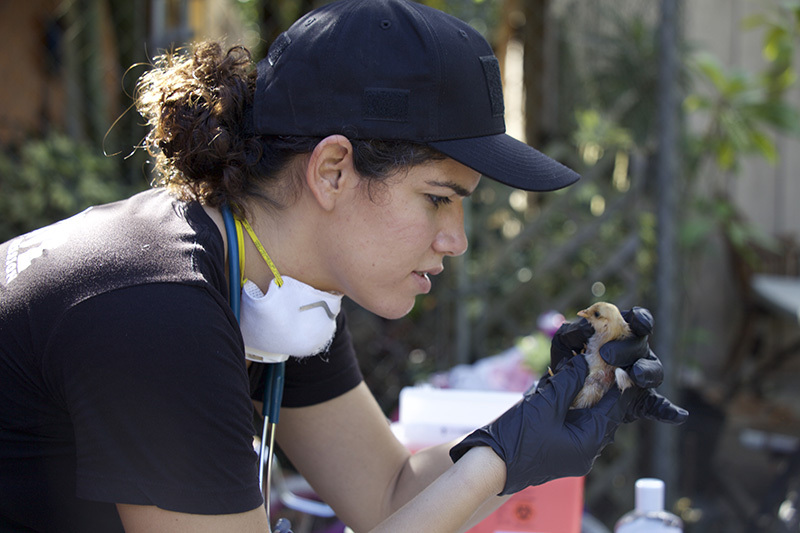 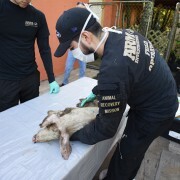 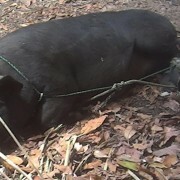 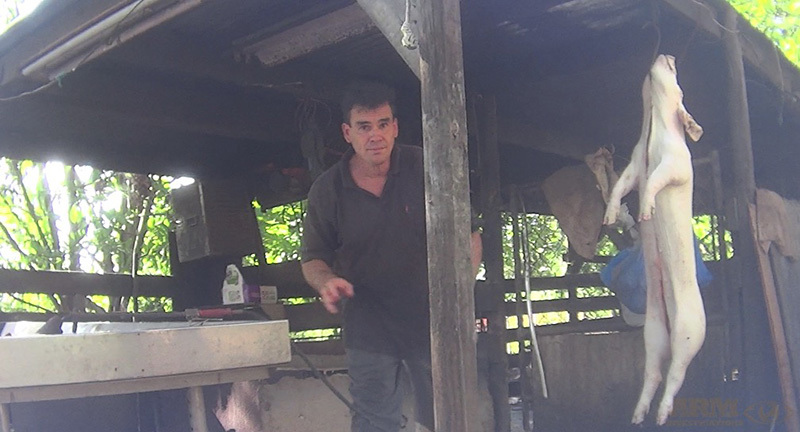 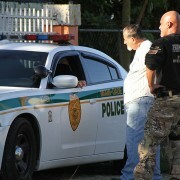 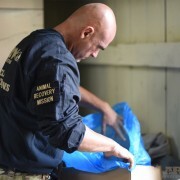 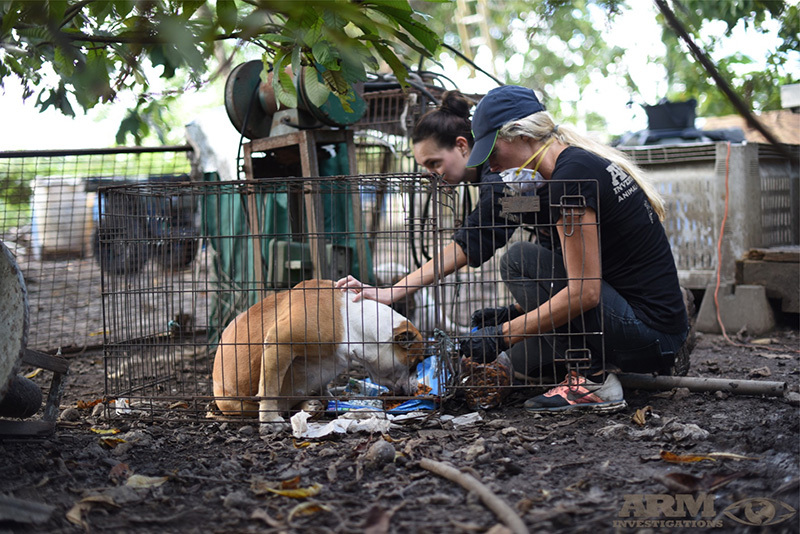 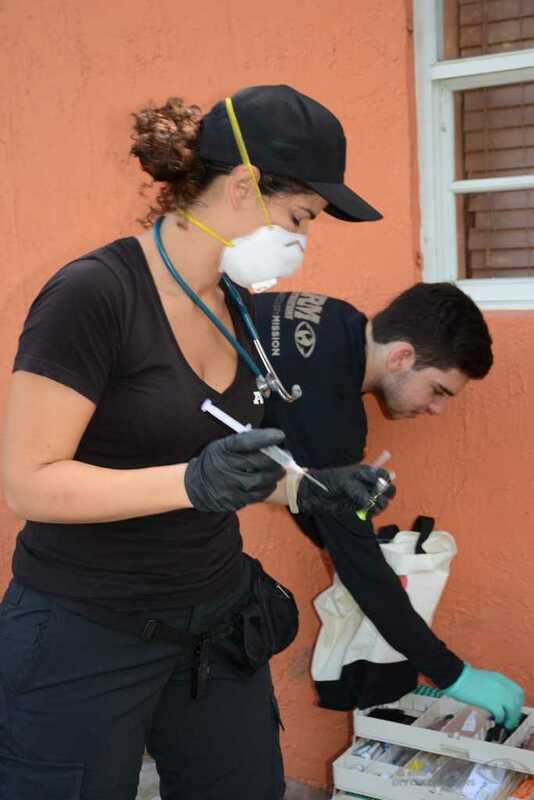 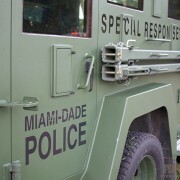 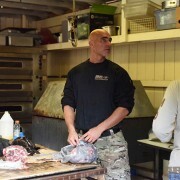 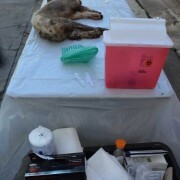 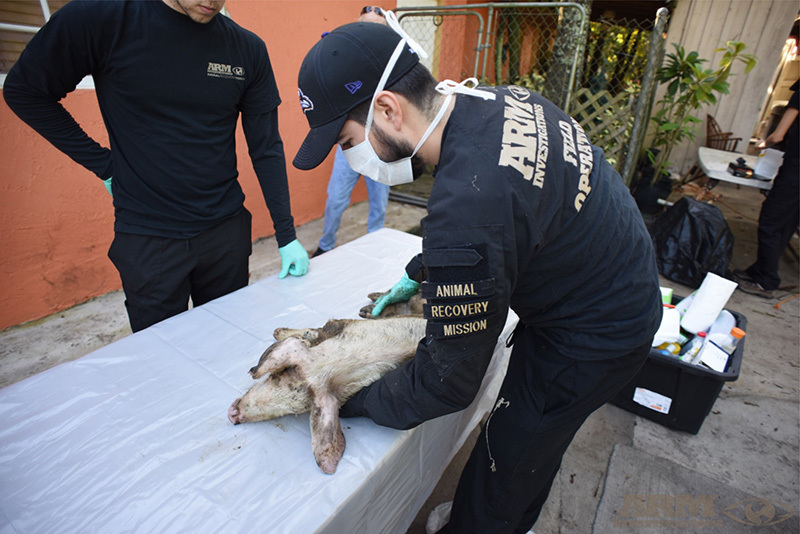 The ‘Gaff Hook’ operation is also suspected to be connected to the black market horse meat trade that is prevalent throughout Miami and Florida. 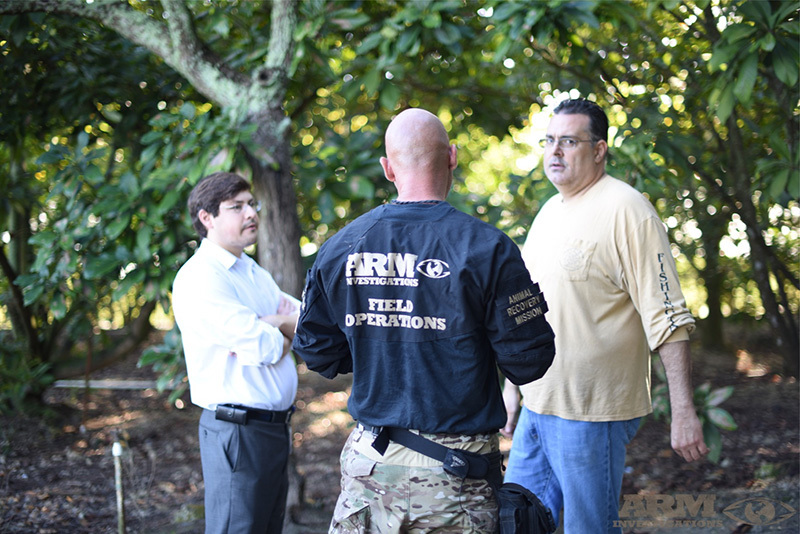 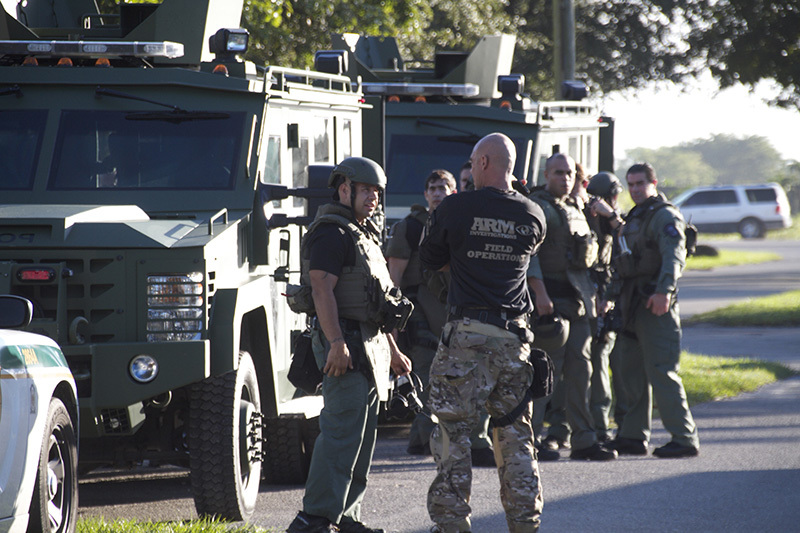 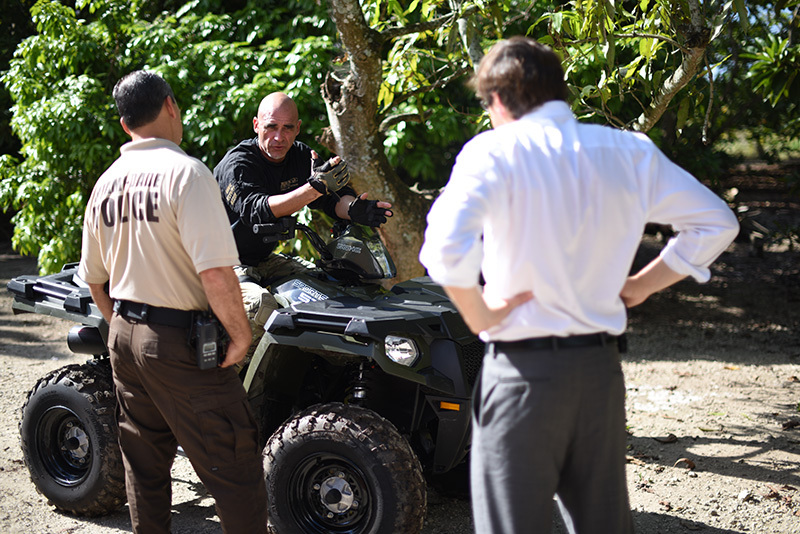 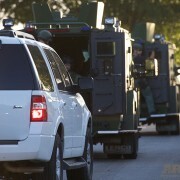 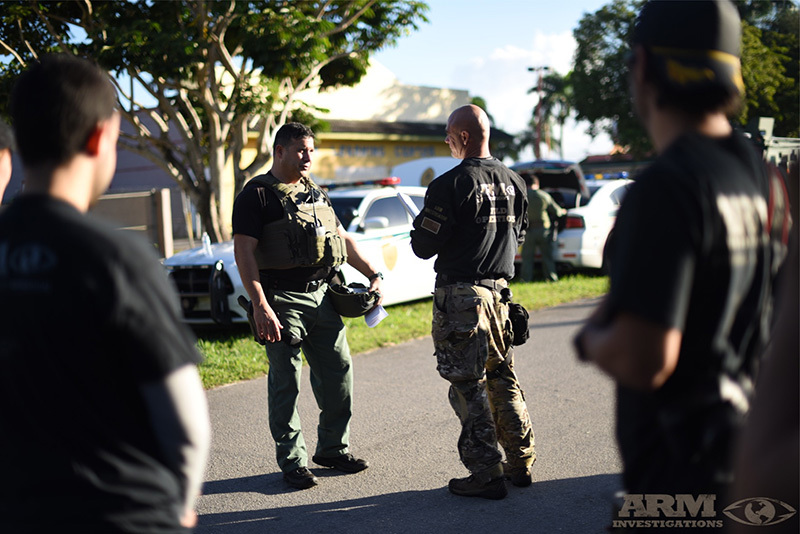 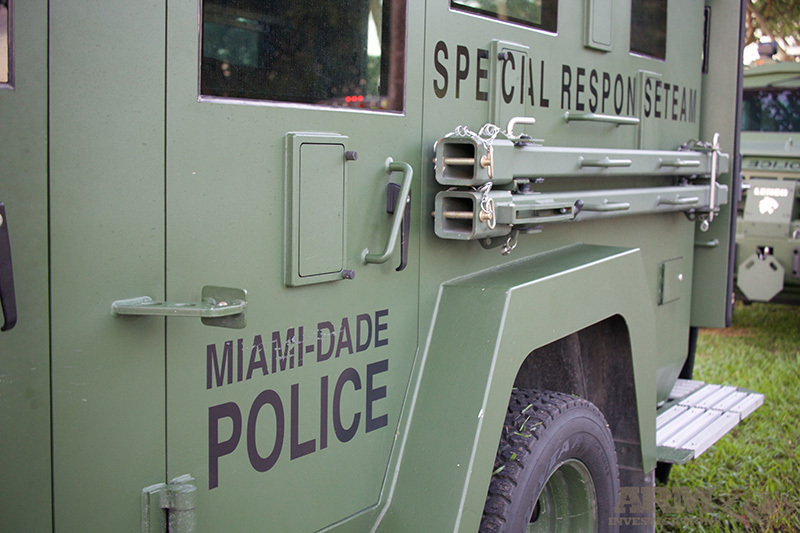 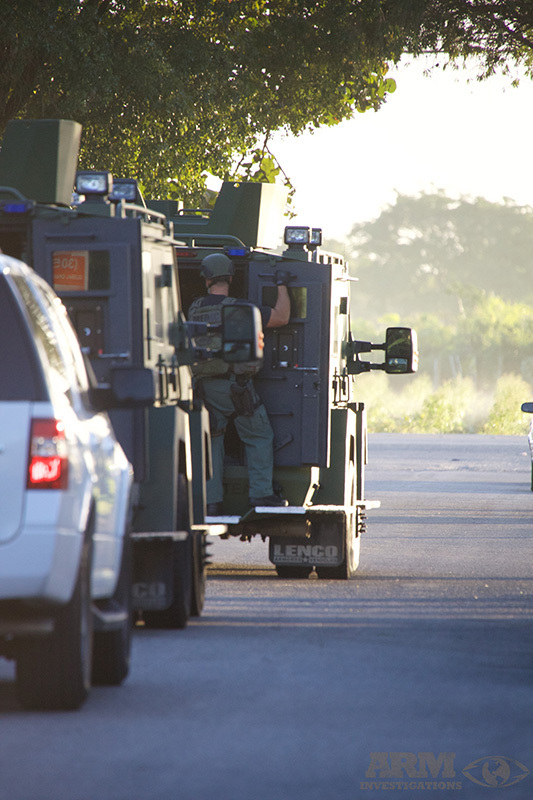 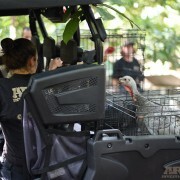 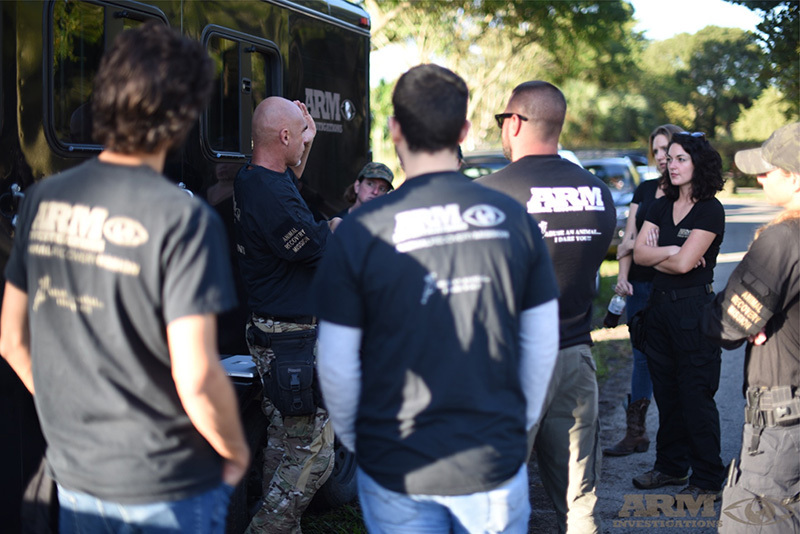 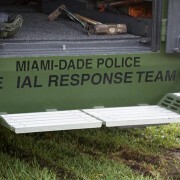 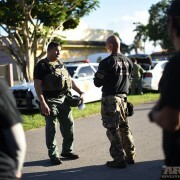 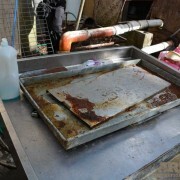 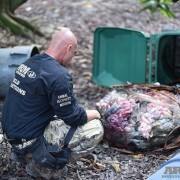 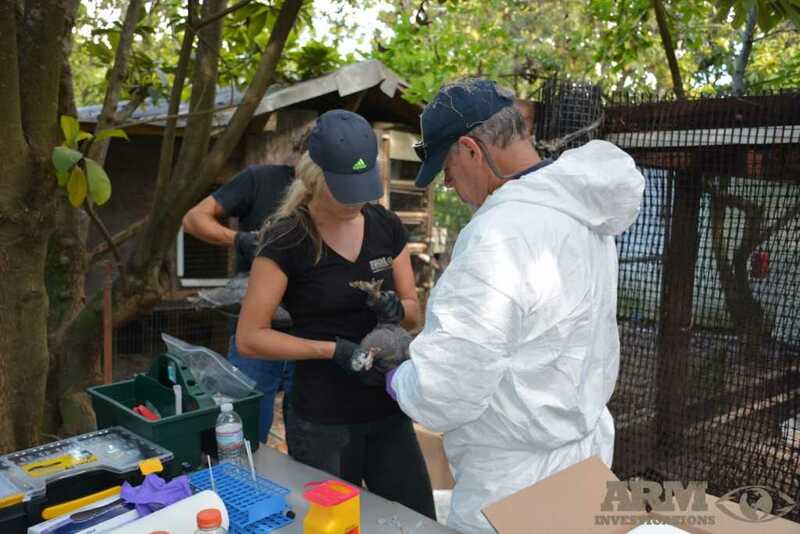 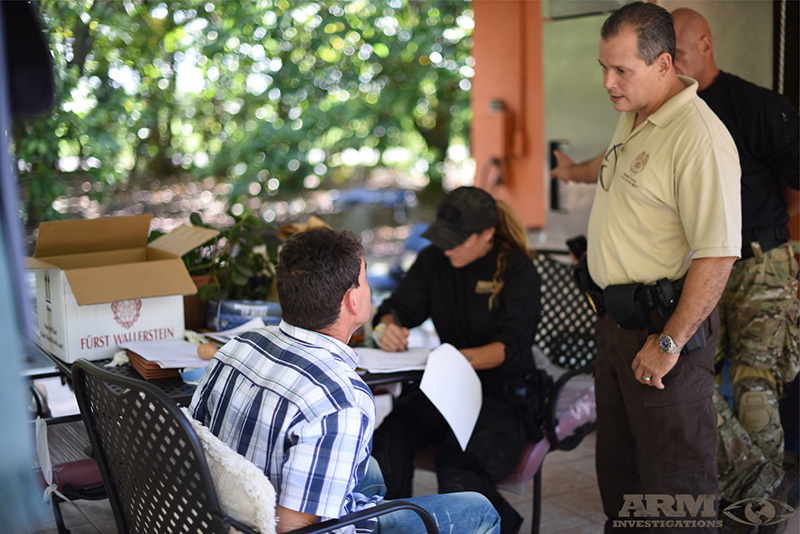 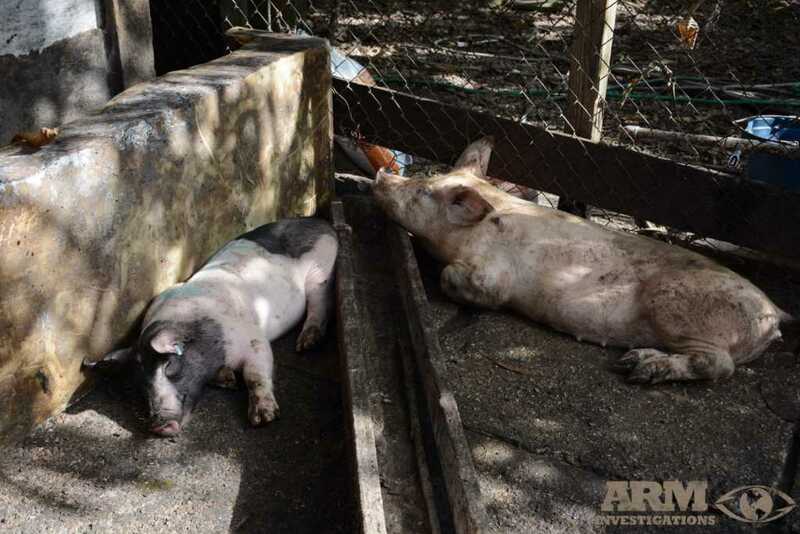 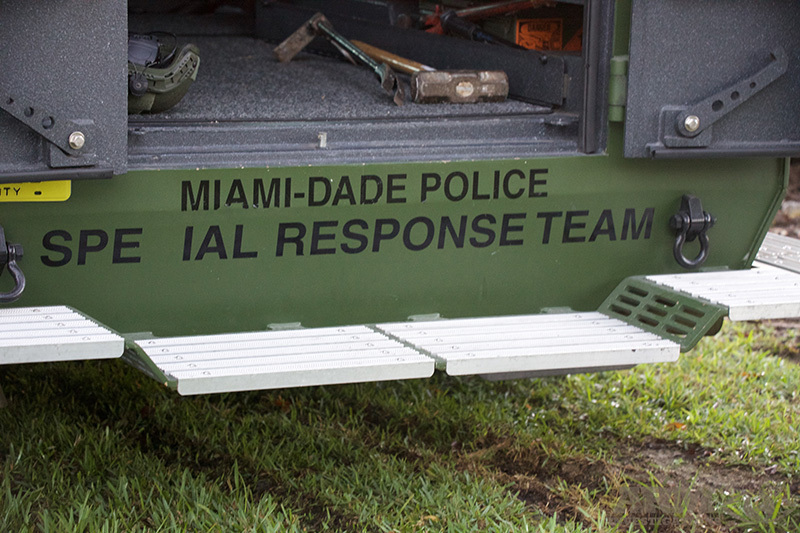 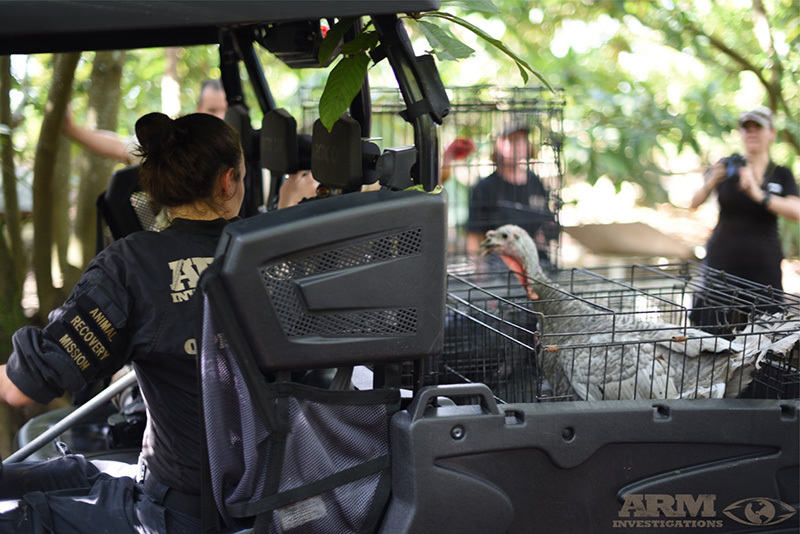 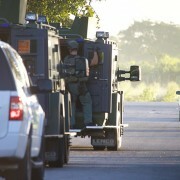 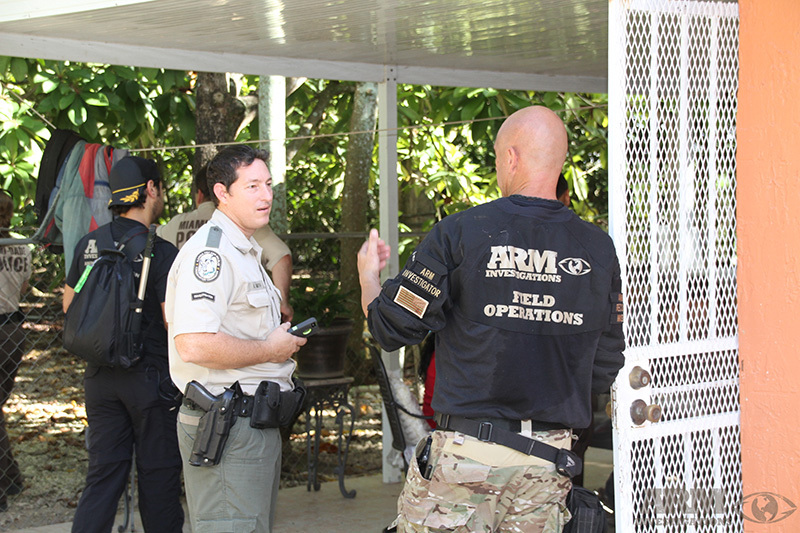 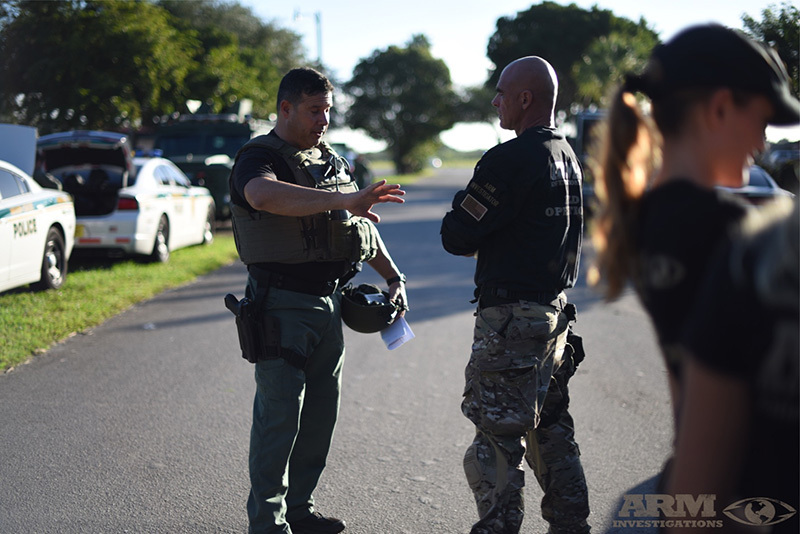 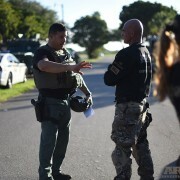 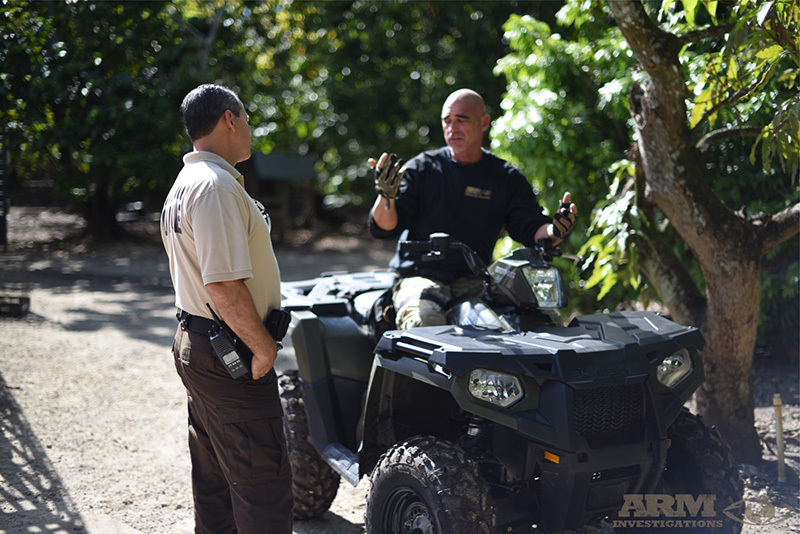 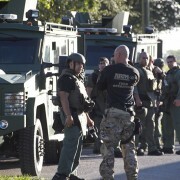 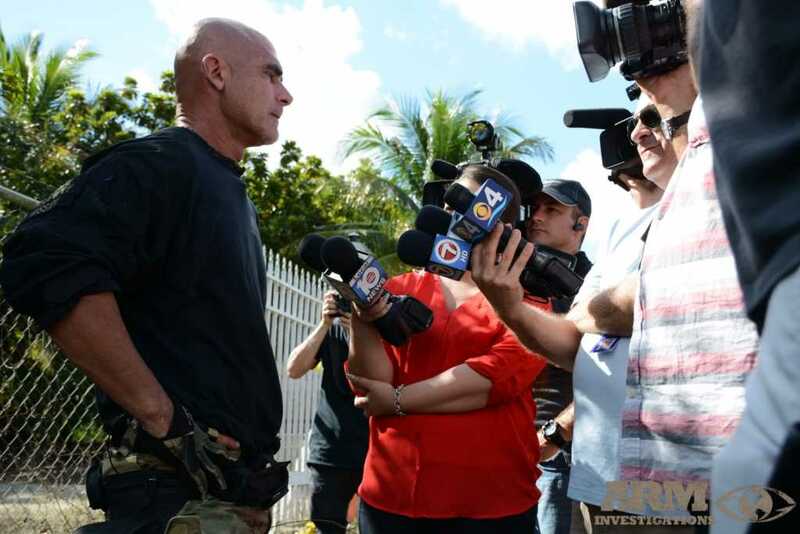 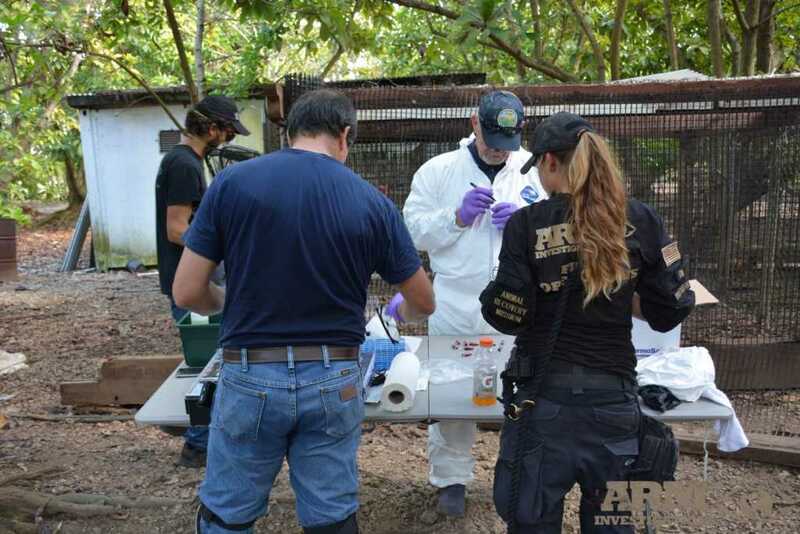 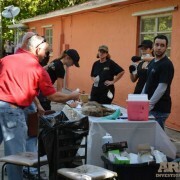 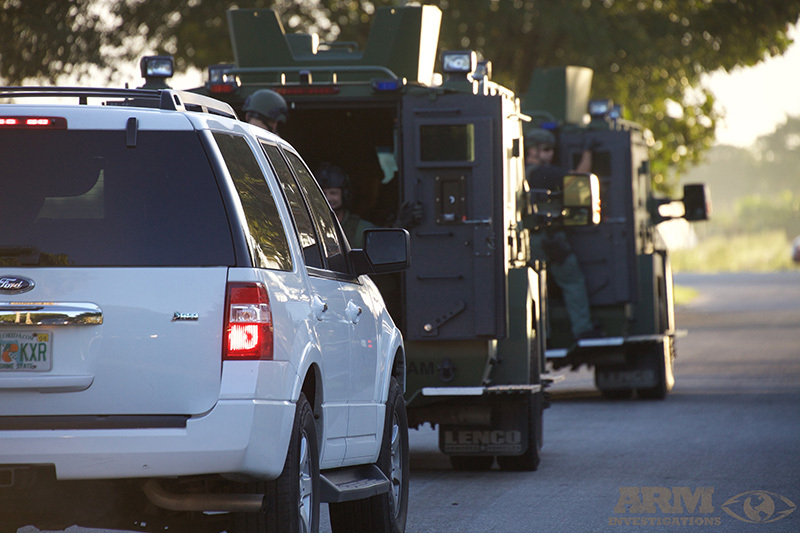 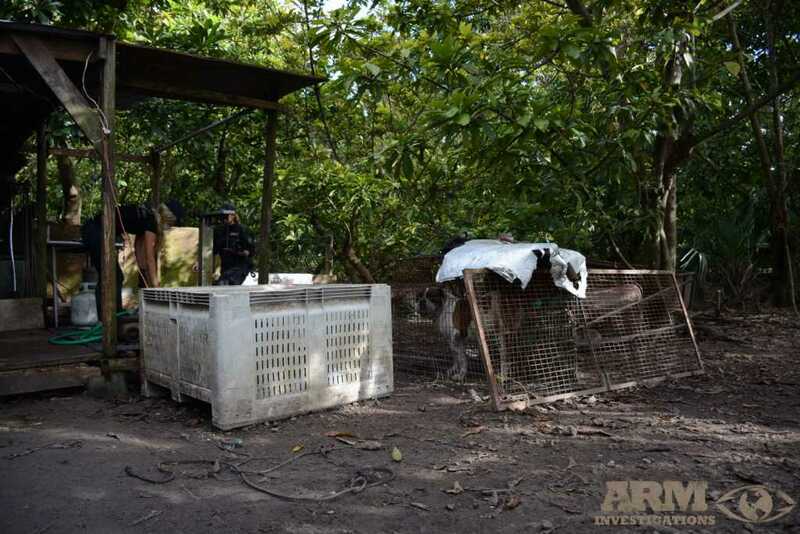 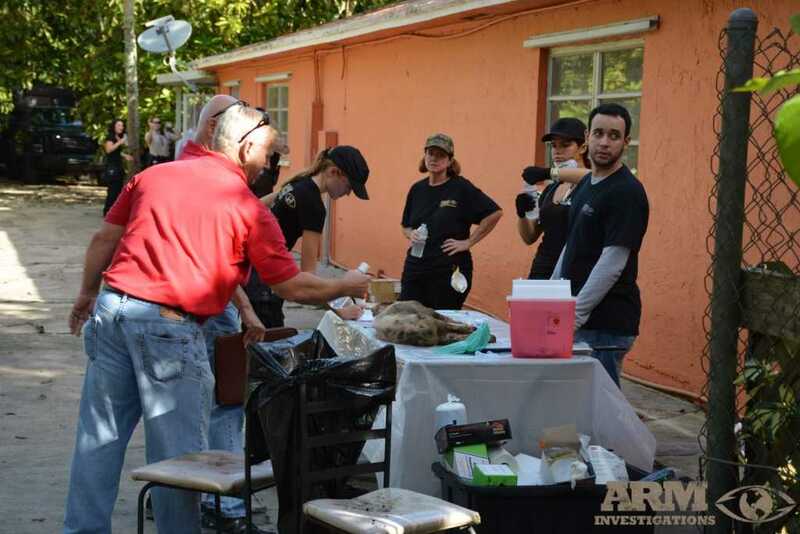 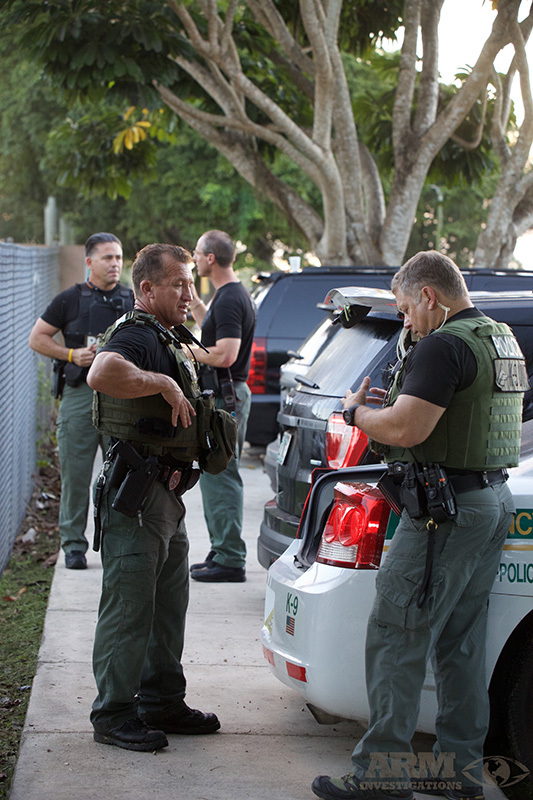 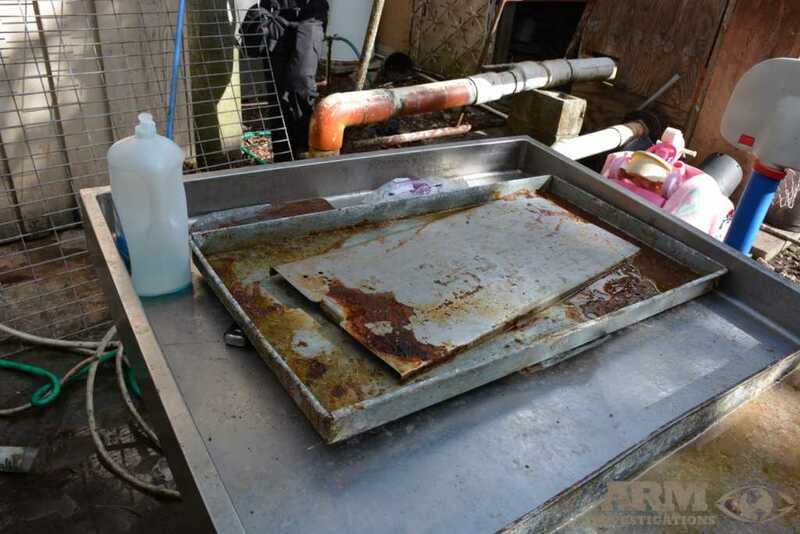 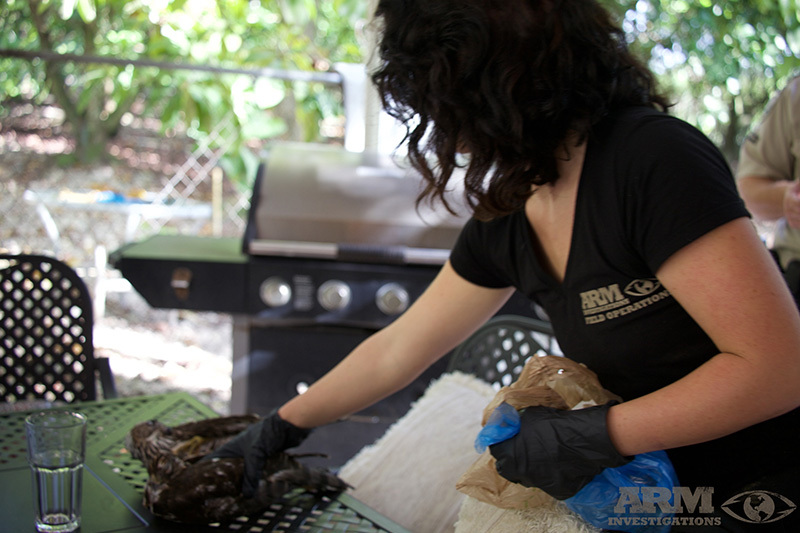 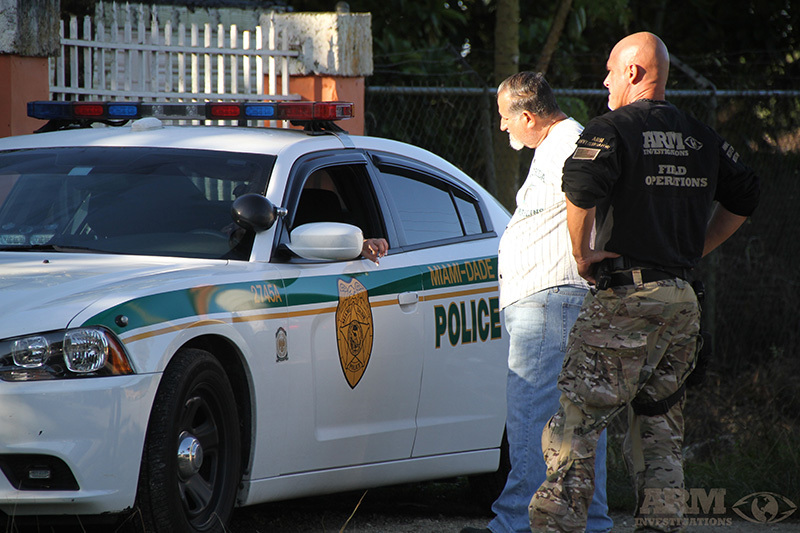 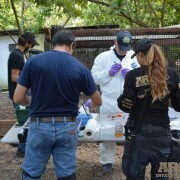 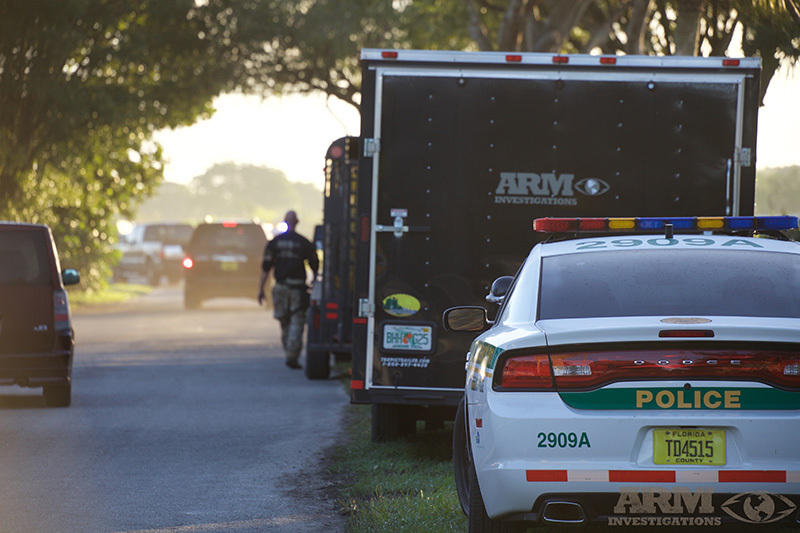 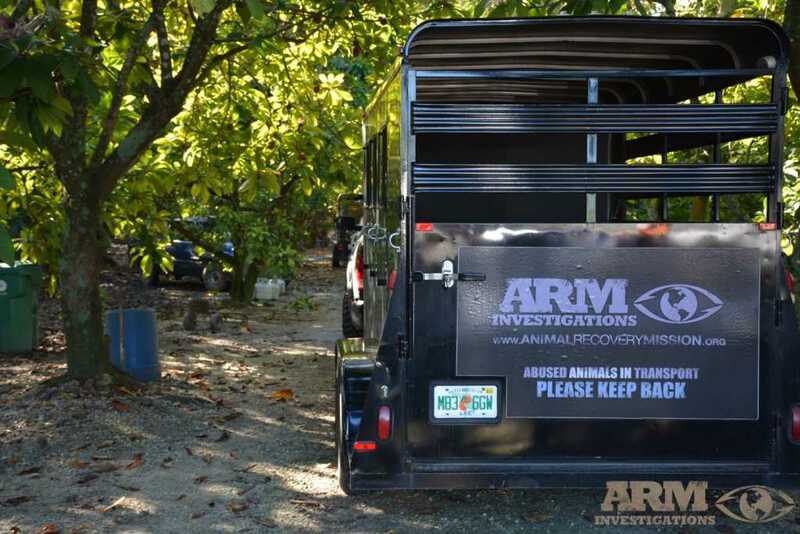 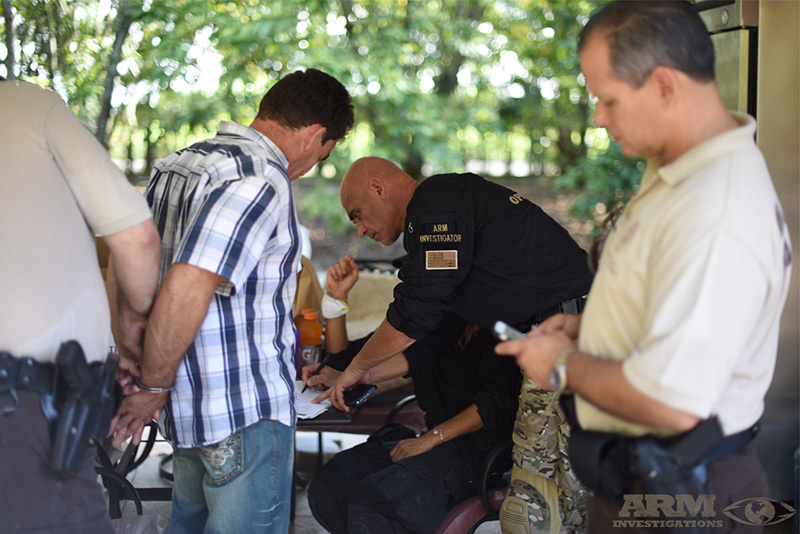 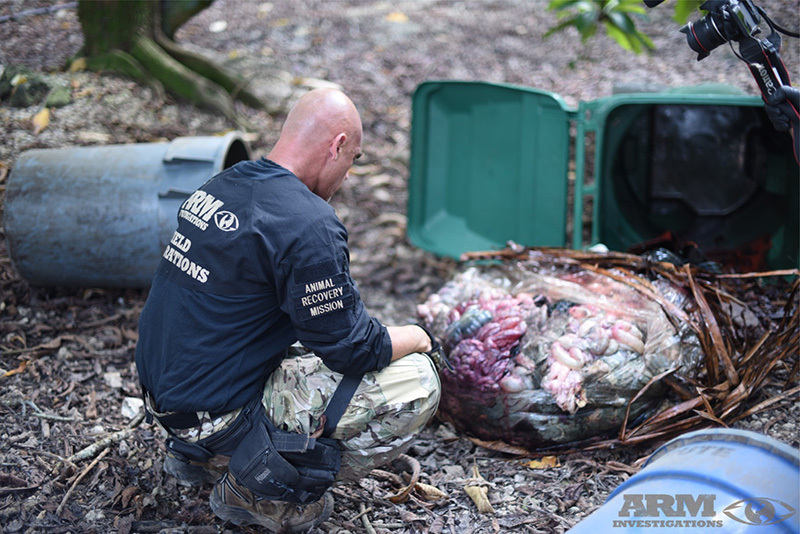 After ARM’s investigations were conclusive and concrete, a strike force was put together with law enforcement, the Miami Dade State Attorney’s office, USDA and a compilation of official agencies, led by ARM and Ricardo’s illegal operation was raided on December 17th, 2015 at dawn. 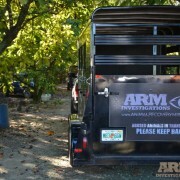 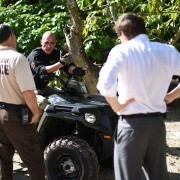 The details of this case are ongoing and more information will be updated as the case evolves.